Died 1948-09-14 in Erfurt after the expulsion from Stolpmünde at her son’s residence. The two were married 1891-02-05 in Pniewno-Konopat, Schwetz County, former Province of West Prussia. Carl Kegler studied theology in Greifswald, Berlin and Halle. He was a member of the student fraternity “Neo-Borussia”, a color-bearing association with the color band black-white-black-red. The fraternity founded after the Napoleonic Wars adhered to Christian-patriotic ideals and strove for the unity of the German nation. He would talk a lot about his student life, the great challenges, about serious and also lighthearted matters. Soon his children could sing many of student songs by heart, such as Halle on the Saale and many more. His youngest son Bruno was especially receptive for such things and would have loved to study. 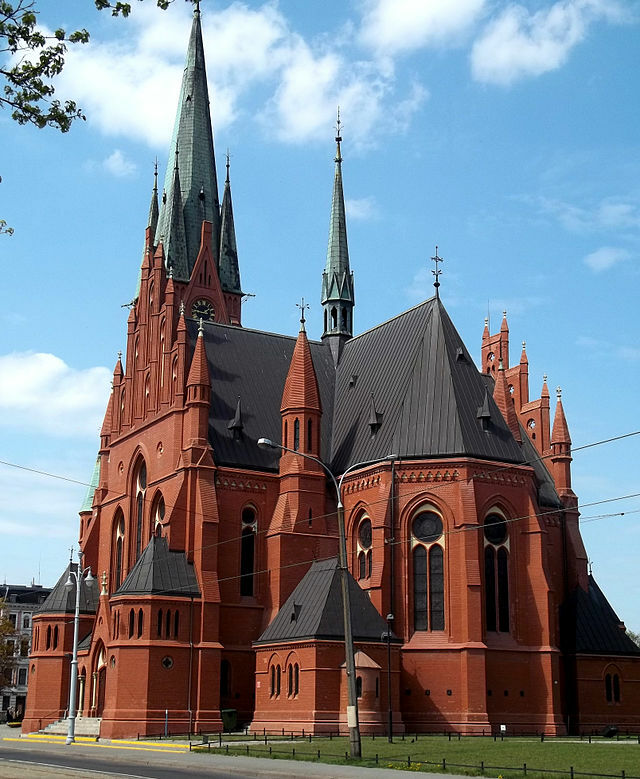 In 1891 he was installed as pastor of Grünewald, Neustettin County and stayed in the congregation until his early death. 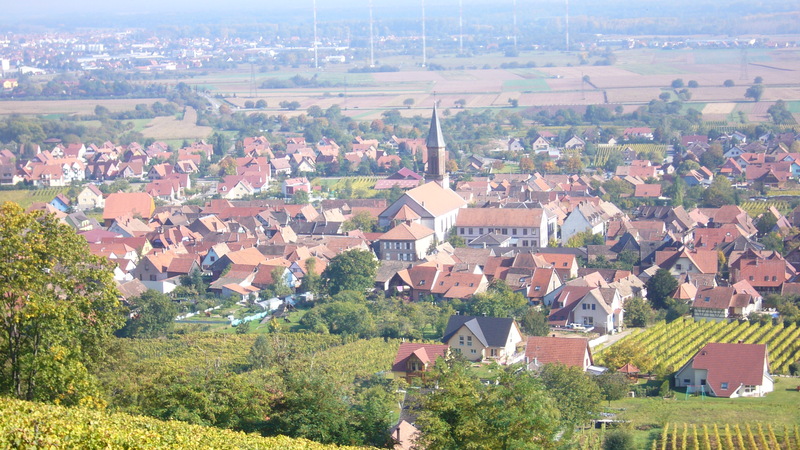 He was the successor of Pastor Nedtwig, who had taken the vacant and larger parish in Gramenz, Neustettin County. Affiliated with the parish of Grünewald were also the sister congregations (without pastors) Zechendorf and Kowalk and some other smaller churches especially during WW1. The distances were considerable and the congregations could only be reached by horse buggy or bicycle. He was not only a spiritual caregiver with all his strength, but also as a farmer’s son a capable countryman. To the parish also belonged ca. 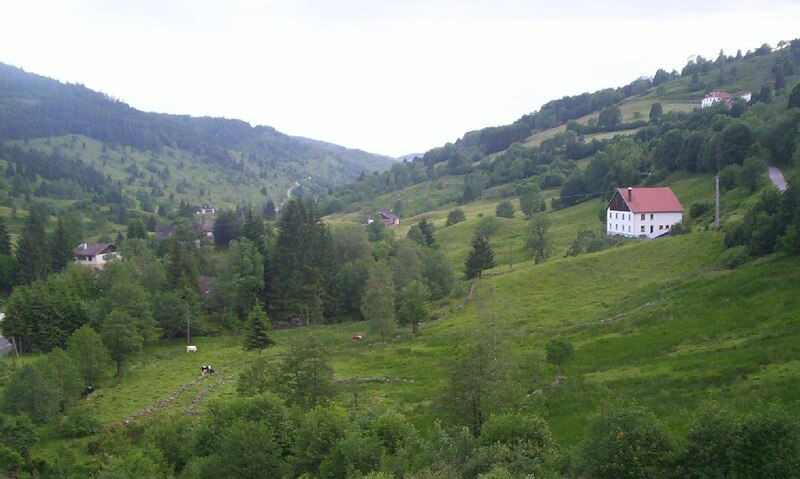 40 Prussian acres (morgen) of land with a barn, stables, cattle and farm implements, etc. Thus, in the agricultural domain he was able to be helpful with much advice and supportive action. For more information I added the text of the eulogy, which a pastor and friend had delivered at Carl’s funeral in 1919. It is in German and can be located at the usual subheading of the P. and G. Klopp Story. It was not an easy beginning for the pastor’s couple. Until 1901 six children were born. In addition to the already crowded household there were Frau Pastor’s parents, Mr. and Mrs. A.Mass with their two unmarried daughters dwelling under the same roof since 1895. 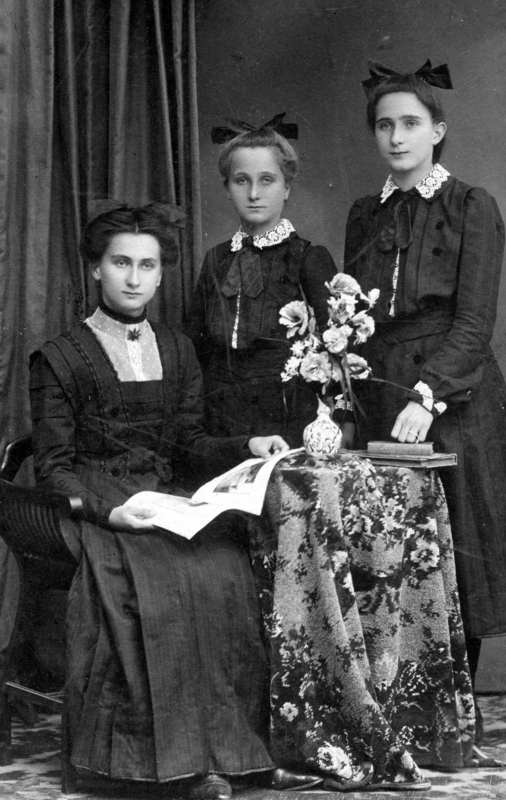 Marie Mass died in 1900, Adof Mass in 1906, Klara Mass in 1908 and Hedwig Mass in 1919. All have been buried in Grünewald. The small village cemetery is now completely overgrown, and gravesites can no longer be recognized. The former Eastern Provinces have become Polish territory. Up to 1900 the household of the pastoral home consisted of twelve persons. Worth mentioning would also be the fact that Grünewald was a church patronage, a designation for the privileges of the patronage master of the church. The acquisition of these privileges resulted from a donation of a building lot and the funding for the construction of the church. The patronage master had the right to be part of the selection process for filling a pastoral vacancy. The patronage master of the Grünewald parish was Christoff (popularly called the ‘Stoffer’) von Glasenapp at the Grünewald domain. Von Glasenapp originated from an old Pomeranian nobility, just as von Kleist, von Gaudecker and many others. Whoever experienced her as mother, grandmother, church mother in the broadest sense, friend, acquaintance, leader of a steadily growing household, und much more, could not say anything better! No matter how often the children brought home friends for the holidays, nothing was too much for her! Amazed and in awe her children are aware of this, her descendants upon hearing stories about her will feel the same! Awareness and silence are in order and are worth more than a thousand words! Here again, as for her husband Carl, you can read more about her in the eulogy from 1948 in the German section of this blog. Of all the relatives in the Kegler family Aunt Marie was closest to me. But before I go into the details, I need to go back a few years to provide the background for a better understanding of the circumstances that made her for more than a year my loving caretaker. After my father’s failure in a small-scale farming venture in Southern Germany, he was financially ruined. My mother had to go out and find work as housekeeper first at Sigmaringen, a small, picturesque town on the River Danube and then later in 1955 at a Senior Citizen home at Rudersberg not far from the city of Stuttgart, Father’s health while being a POW had been severely affected by the intolerable working conditions in a Russian coal mine. He suffered from a number of psychological and physical ailments. His recurring back pains prevented him from taking up any meaningful employment. 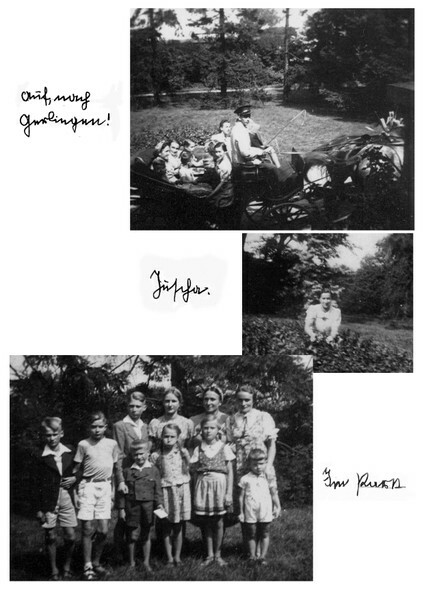 It is sad to say that after the miraculous survival and coming together again of the entire Ernst Klopp family in the village of Rohrdorf, there were signs of disintegration written on future’s gloomy horizon. 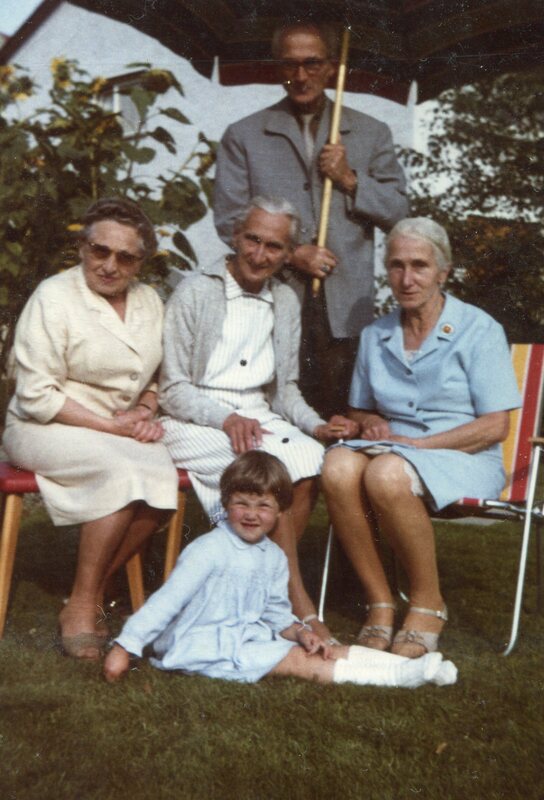 Karl had gone off to university at Göttingen, Adolf emigrated to Canada, Eka (Lavana) took up nurses’ training at Hamburg, Gerhard entered a toolmaker’s apprenticeship program in Switzerland, and I, barely 12 years old, had to nobody to look after me. This is where Aunt Marie comes in. She had just taken up employment as elementary school teacher in Brünen, a short bus ride away from the city of Wesel. 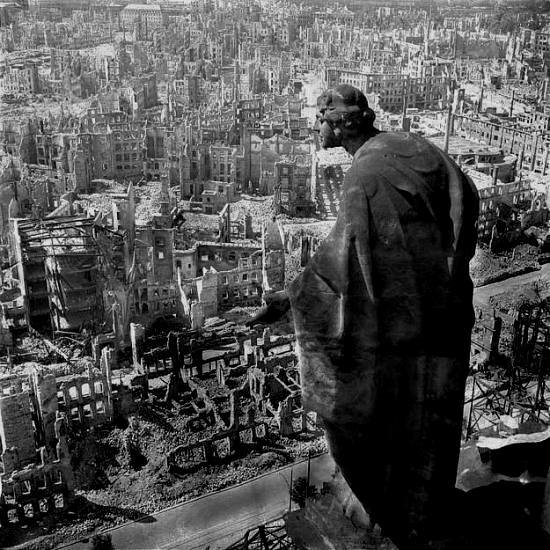 Its claim to fame is that it is known as the most destroyed city of Germany (almost 98% turned into rubble by two consecutive Allied bombing raids near the end of World War II). For almost 5 years my aunt was not permitted under the rules and regulations of the occupation authorities to carry out her teaching profession. As former state employee of Nazi Germany, she like many thousands of other civil servants was suspected of harboring pro-Nazi sentiments and was consequently classified as unfit and dangerous for the teaching profession. This happened in postwar Germany under the so-called denazification program. The injustice was that all former teachers were given the same label and that there was no exception to the rule. Finally the Allied authorities saw it fit to lift the ban. And Tante Mieze, close to her retirement age, was able to resume her work and do what she liked best, to teach. 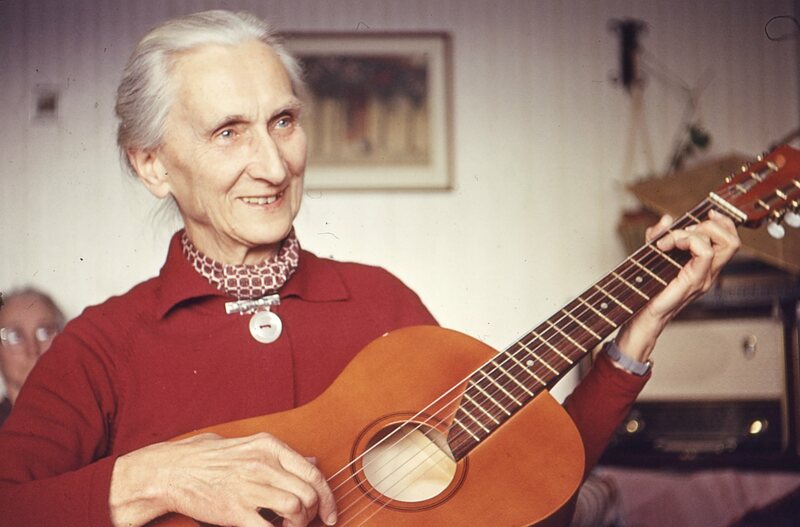 In 1955 she managed to land a teaching position in the nearby city of Wesel on the River Rhine. At a time, when there was a great housing shortage in the bombed-out city, she located a two-bedroom apartment. At last, Mother, who had become Tante Mieze’s housekeeper in exchange for room and board, was able to reconnect with me. Marie Kegler retired in 1957 and in 1962 the two sisters accepted my uncle’s invitation to share a rental house in Watzenborn-Steinberg. The new place turned out to be a veritable beehive of relatives and friends dropping in for a taste of the pleasant hospitality, which Uncle Günther, Chief of the Kegler Clan and avid Doppelkopf player, his wife Aunt Lucie, Aunt Marie, and my mother were tirelessly offering to their guests. I have the fondest memories of my frequent weekend visits during my army years. Aunt Mieze as during the time in Wesel continued to provide spiritual leadership by daily reading from a devotional booklet and saying grace and thanks to God at breakfast, lunch and dinner time. Alas, Aunt Lucie passed away after a lengthy illness. 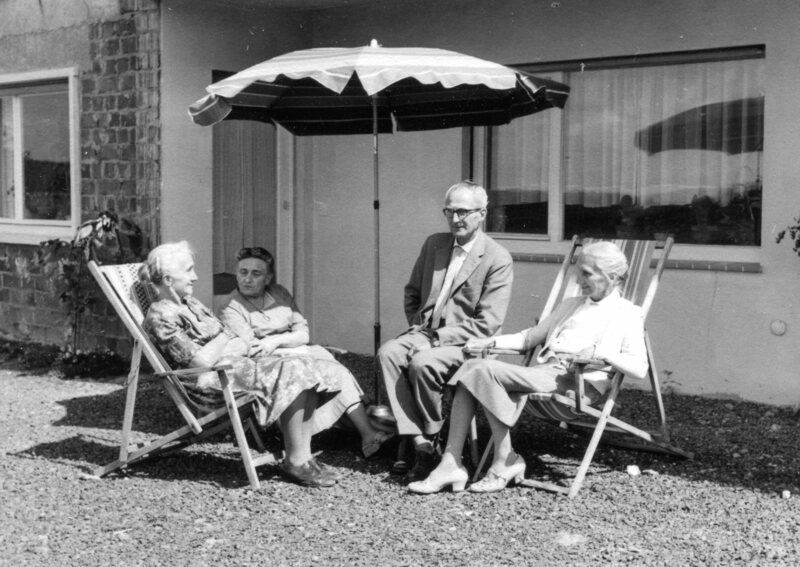 When Uncle Günther remarried and moved with his new wife Aunt Friedel to Kassel, a very happy period of family togetherness came to a sudden end. Tante Mieze could not afford to pay the rent. Even if she had had the means, the house in Watzenborn was too large for just two people. So they moved to Bad Ems in the beautiful Lahn Valley, where they lived in Haus Abendfrieden (House Evening Peace) for another six years. In 1980, Tante Mieze became very ill. The Senior Citizen Home, where they stayed, had no intensive care facilities. 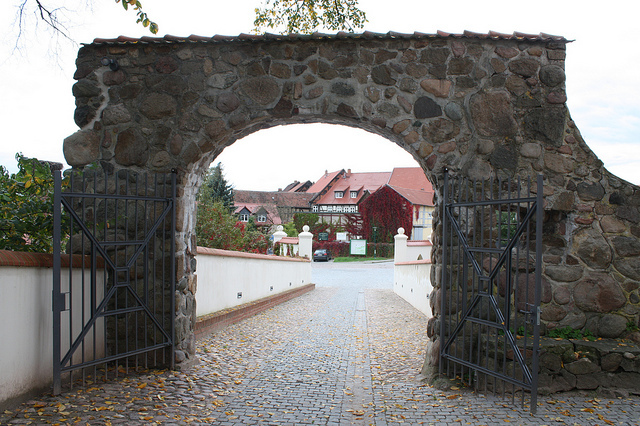 Thus, they had to move to Gladenbach close to the picturesque medieval city of Marburg. Shortly after Tante Mieze had been taken by ambulance to the Old Folks Home, she died at the age of 89. Deeply steeped in the Christian faith, she led a life that in my view was exemplary. When she saw other people in need, she was always ready to help.Thankfully I will always remember her kindness to invite Mother to join her in Wesel. With her financial help I was able to finish my German High School diploma. without which my teaching career in Canada would have been unthinkable. After we emigrated to Canada, she kept mailing devotional booklets to her niece and nephews in the hope to provide some spiritual guidance. I must admit I did not take the time to read them. My brother Gerry too was not too interested either and irreverently called them flyswatters (Fliegenklappen). In the world we live in we appraise a person’s success in life by standards, such as wealth, status, popularity, etc. God on the other hand looks at the motives and favors the purity of the heart. Aunt Marie’s actions always spoke louder than words. Love and compassion for her fellow human beings were the guiding principles throughout her entire life. In the first part of the report on my uncle’s life I will focus on the profile that he had written about himself in his Kegler Family Chronicle. In subsequent posts I will publish a few of my own ‘memory fragments’. They will show how the threads of our lives intersected on many occasions. Being together with him at his home in Watzenborn during my army years enhanced my sense of belonging to the Kegler-Klopp family. Uncle Günther definitely deserves the title ‘Chief of the Kegler Clan’, by which he was known among family members. 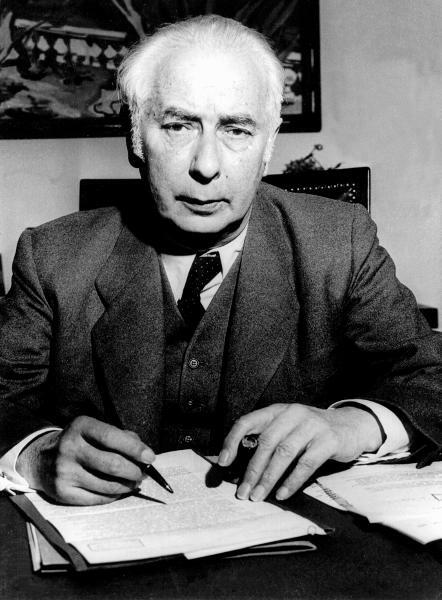 Günther was born October 1, 1894 in Grünewald, county of Neustettin (Szczecinek). 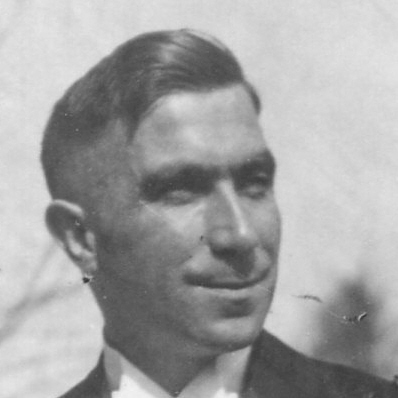 He married Lucie Kegler (1898-1968) in Elsterberg on June 21, 1925. He attended the elementary school in his hometown from 1900 to 1906. Then for his high school education he joined the military academy first at Plön near the Baltic Sea from 1907 to 1912, then at Großlichter-Felde southwest of Berlin from 1912 to 1914. As cadet at the beginning of World War I he was assigned to Infantry Regiment 149 at Schneidemühl (now Pila, Poland ). From 1914 to 1917 he served with Infantry Regiment 14 (Graf Schwerin) at many battle fields in Western and Eastern Europe. In January of 1915 he advanced to the rank of lieutenant and in 1916 he became commander of a M.G.K. (machine gun company). As such he participated in various theaters of war, such as Flanders, Russia, Carpathian regions, Galicia, and back to the western front in France at Verdun, Aisne and Champagne. In May of 1917 he was seriously wounded. Actually, according to a story not mentioned in his profile he was already in a military hearse among many dead soldiers, when fortunately someone discovered that he was still alive. After a long stay at a hospital he finally recovered from his wounds, but having lost a kidney he was no longer fit for continuing his military service. 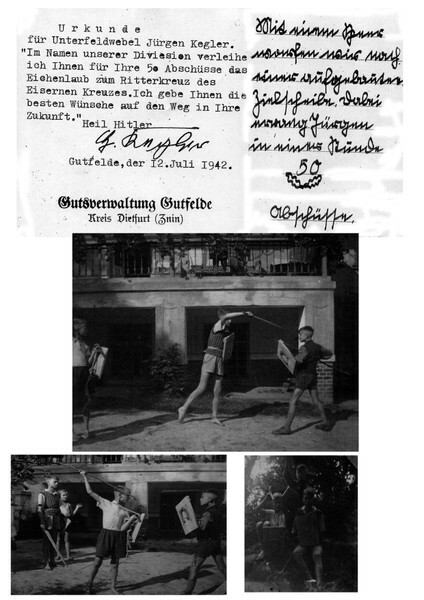 In 1919 Günther Kegler returned to civilian life after serving in the Imperial German army during World War I. There were two reasons for that. Having sustained severe injuries and having lost one kidney in the battles on the Western Front in 1917, he was considered unfit for active duty. However, he could have easily performed any sort of interior office functions. But following the decrees of the Treaty of Versailles, the German army had to be reduced to 100,000 men. So from 1919 to 1921 he took up an agricultural training program at the estate farm of Neuhütten at Bublitz, Pomerania (now Polish Bobolice). 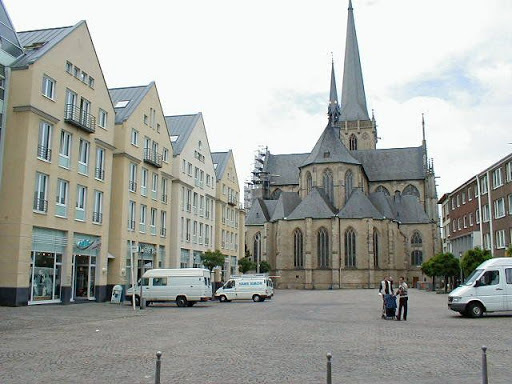 Since he was also knowledgeable in bookkeeping and accounting, he soon switched over to a more lucrative employment and worked as senior accountant at various large estates in the county of Sangerhausen about 50 km west of Halle. 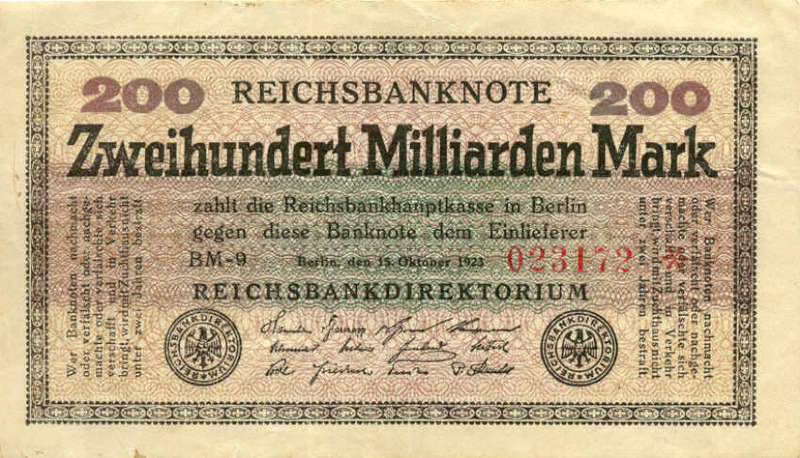 His income allowed him to save enough money to have a small house built in 1934, which sold next to nothing, when he left the German Democratic Republic in 1956. In 1938 he was ordered by the army to join and was assigned to work in the recruiting center of the reserve in Erfurt. He started out as major and quickly climbed up the ranks serving at centers in Erfurt, Kassel and Eisenach. Promoted to Lieutenant-Colonel (Oberstleutnant) he arrived in France on April 1, 1944 at St. Brieuc, Bretagne and Niort. He was primarily involved in the planning of effective defense strategies. Two months after D-Day he was responsible for the orderly withdrawal of Indian troops, Russian volunteers, railway workers, nurses etc. away from the battle fields. The Indian Legion (Indische Legion), officially the Free India Legion (Legion Freies Indien) or Infantry Regiment 950 and later the Indian Volunteer Legion of the Waffen-SS (Indische Freiwilligen Legion der Waffen-SS), was a military unit raised during World War II in Nazi Germany. Intended to serve as a liberation force for British-ruled India, it was made up of Indian prisoners of war and expatriates in Europe. 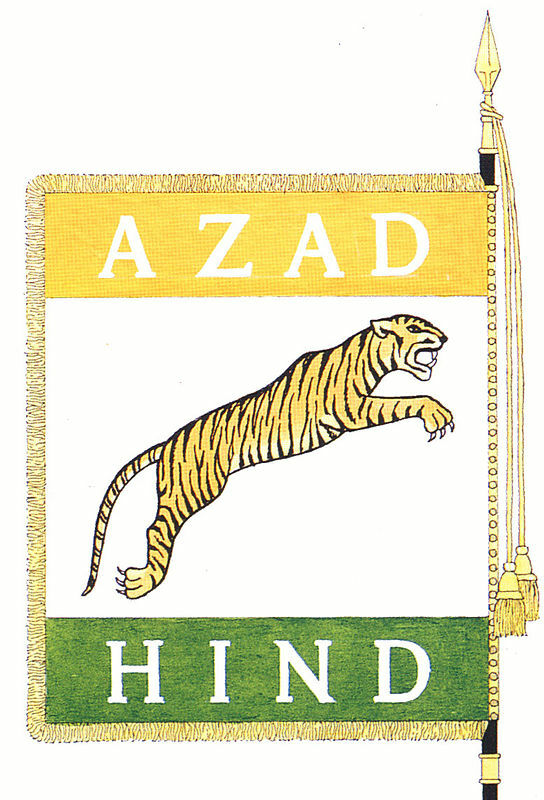 Because of its origins in the Indian independence movement, it was known also as the “Tiger Legion”, and the “Azad Hind Fauj”. Initially raised as part of the German army, it was part of the Waffen-SS from August 1944. Indian independence leader Subhas Chandra Bose initiated the legion’s formation, as part of his efforts to win India’s independence by waging war against Britain, when he came to Berlin in 1941 seeking German aid. 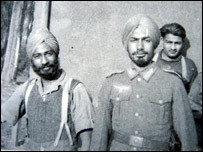 The initial recruits in 1941 were volunteers from the Indian students resident in Germany at the time, and a handful of the Indian prisoners of war who had been captured during the North Africa Campaign. It would later draw a larger number of Indian prisoners of war as volunteers. In the closing stages of World War II, as Allied and French resistance forces were driving Hitler’s now demoralised forces from France, three senior German officers defected. Now, 17 years early, the BBC’s Document programme has been given special access to this secret file. 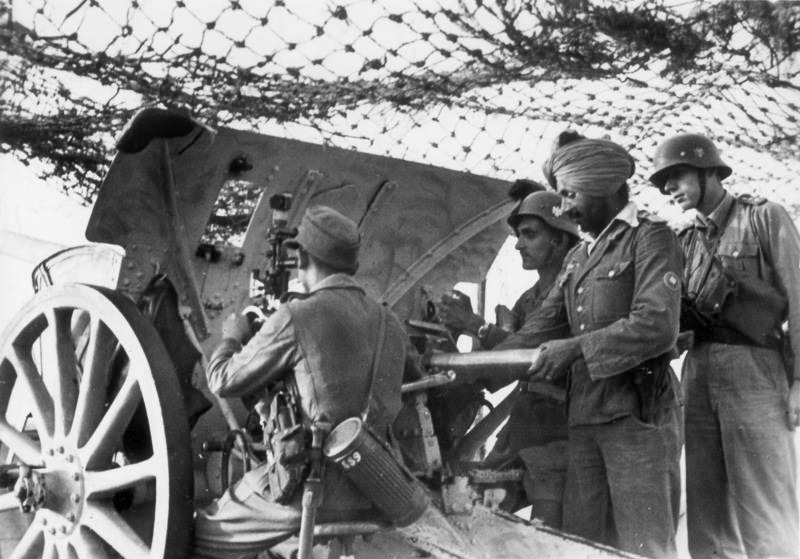 It reveals how thousands of Indian soldiers who had joined Britain in the fight against fascism swapped their oaths to the British king for others to Adolf Hitler – an astonishing tale of loyalty, despair and betrayal that threatened to rock British rule in India, known as the Raj. Bose, who had been arrested 11 times by the British in India, had fled the Raj with one mission in mind. That was to seek Hitler’s help in pushing the British out of India. Six months later, with the help of the German foreign ministry, he had set up what he called “The Free India Centre”, from where he published leaflets, wrote speeches and organised broadcasts in support of his cause. By the end of 1941, Hitler’s regime officially recognised his provisional “Free India Government” in exile, and even agreed to help Chandra Bose raise an army to fight for his cause. It was to be called “The Free India Legion”. Since all this was top-secret at the time my uncle just mentioned in passing the presence of Indian troops in his family chronicle in 1975, this would have been explosive news, if it had found its way into the international press. On September 19, 1944 Günther Kegler became leader of the military registration offices at Sangerhausen and Querfurt, Thuringia, about an hour’s drive northeast of Gotha, Biene’s place of birth. As he could clearly see the imminent collapse of his beloved country on the horizon, he did everything in his power to save what was in his mind the only resource left after Germany’s defeat. To spare young boys from the draft was foremost on his mind. After January 1945 even the diehards of the regime could see the writing on the wall. But instead of preparing for a quick surrender, which would have saved tens of thousands of lives, they obstinately clung to the glimmer of hope for final victory. 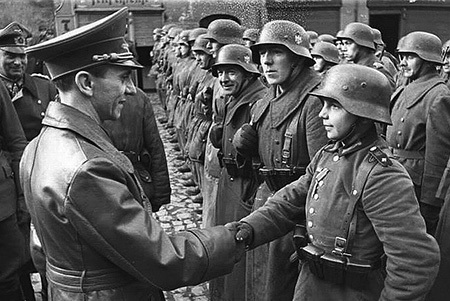 Goebbels’ relentless propaganda machine fueled a patriotic fervor, especially among boys. Men capable of carrying a rifle or an antitank weapon were to be conscripted. 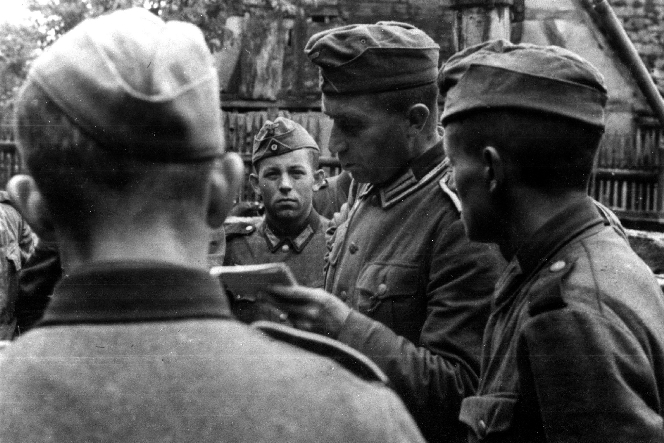 The leader of the NS district Querfurt started to meddle in Lieutenant-Colonel Kegler’s realm of authority and insisted that 16-year old boys be included in the draft procedures. They were to fill the gaps of the dwindling forces of the war machine. Against this directive Günther Kegler put up as much resistance as was in his power. But the constant pressure and harassment from above wore him out. Then he heard about Himmler’s horrific order of his court martialed brother General-Lieutenant Gerhard Kegler being demoted to a private and slated to be executed after the final victory. (His amazing story will be published at a future post.) Günther Kegler broke down under the burden of these fateful events and was admitted to a sanatorium at Erfurt on April 1, 1945. 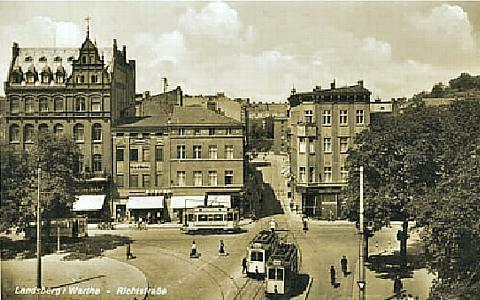 He stayed until May 31, 1945 and recovered sufficiently to allow him to return to his family at Nonnenrain Street, Erfurt. Unfortunately, his ordeal was far from over. 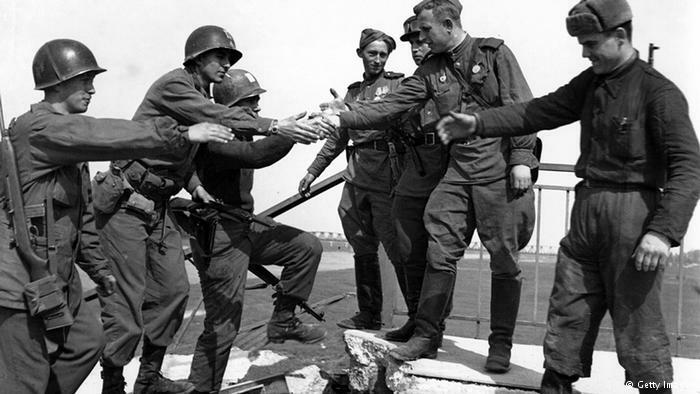 By prior arrangement between the US and the Soviet Union, the American occupation forces withdrew from Thuringia and handed over the administration of the province to the Russians. Arrests, interrogations mostly conducted at night, closing of savings accounts and all sorts of other chicanery followed in quick succession. As my uncle stated in his family chronicle, it was the fate of countless other German officers in the Soviet Occupation Zone. 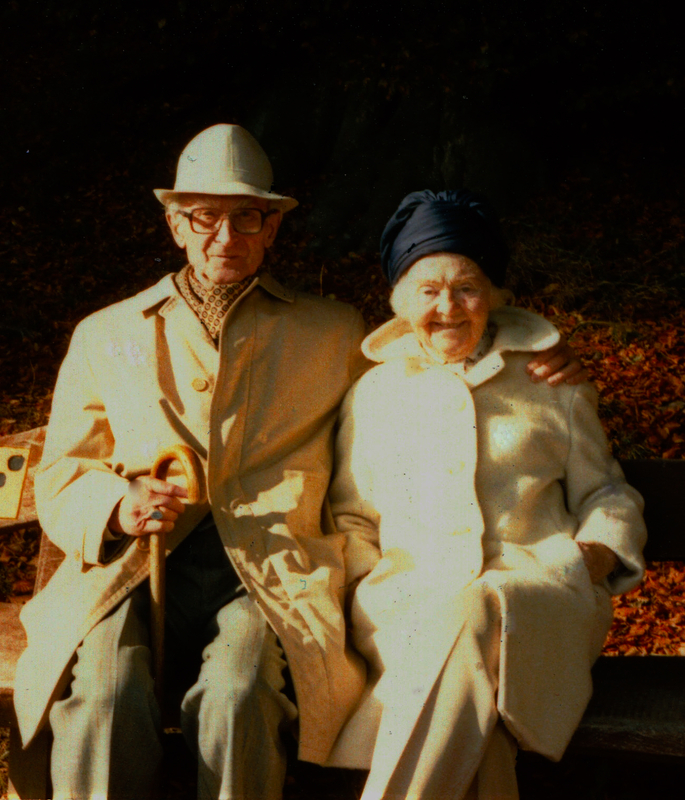 Once Günther and his second wife were comfortably settled in their Seniors’ apartment in Kassel-Wilhelmshöhe, they were truly riding into the sunset on a joyful note. But before I get into their adventures and travels of their golden years, we need to have a brief look of Elfriede’s family background. 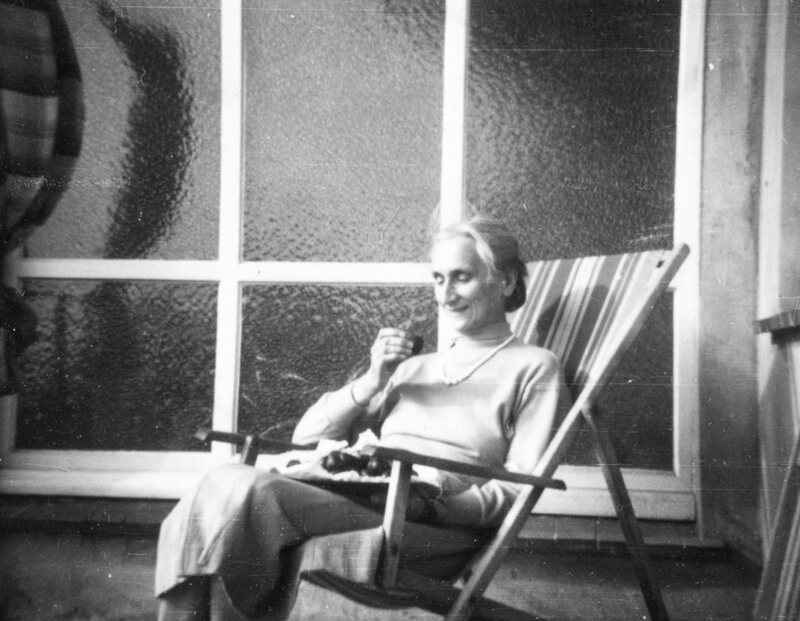 Elfriede Kegler (née Grempler, widowed Diesselhorst) graduated from the all girls Sangerhausen High School in 1919 and received her training in her father’s pharmacy. Then in 1921 she worked for six months as a druggist’s helper in Halberstadt. After father’s sudden death she sought and found employment as payroll bookkeeper at the stoneware plant in Wallhausen. For a complete understanding of the difficulties she experienced my uncle described the following scenario that most Germans faced after Word War I: End of the Imperial Reich, merciless Treaty of Versailles, revolts, bloody unrest, political murders, hunger and misery, unemployment by millions of people, total devaluation of the money, which occurred from 1919 to 1923, first at a crawling pace, then crashing down like an avalanche, change of paper money from thousands to billions of Reichsmark bills, money earned today was worthless in only a few days, the black market flourished with all its evil social repercussions, a dance on the volcano! Now we get the picture of Elfriede’s task as bookkeeper in the stoneware plant of around 250 employees. If she had access to a modern-day computer, it would have certainly crashed under the load of zillions of zeros that needed to be crunched every single day. It was a severe strain on her brain, which caused her to have nightmares. In 1927 she married the pharmacist Otto Diesselhorst of Hanover. Within in a few years the two managed to pay off the debt of the pharmacy. It was during this time that a life-long friendship developed between the Kegler and the Diesselhorst couples. 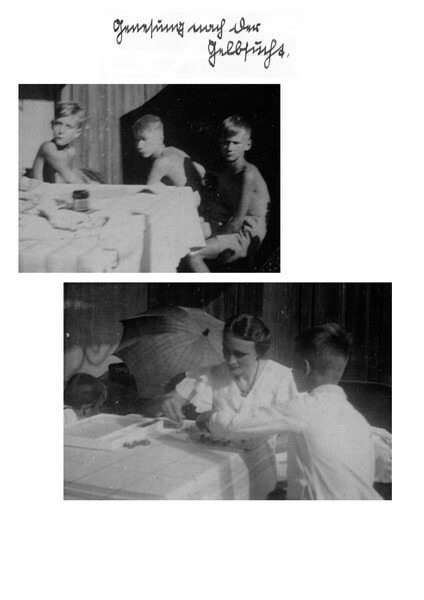 After Elfriede Diesselhorst’s husband suddenly and unexpectedly passed away, widow Elfriede continued to work as pharmacist’s helper until 1963. She then moved back to Sangerhausen. 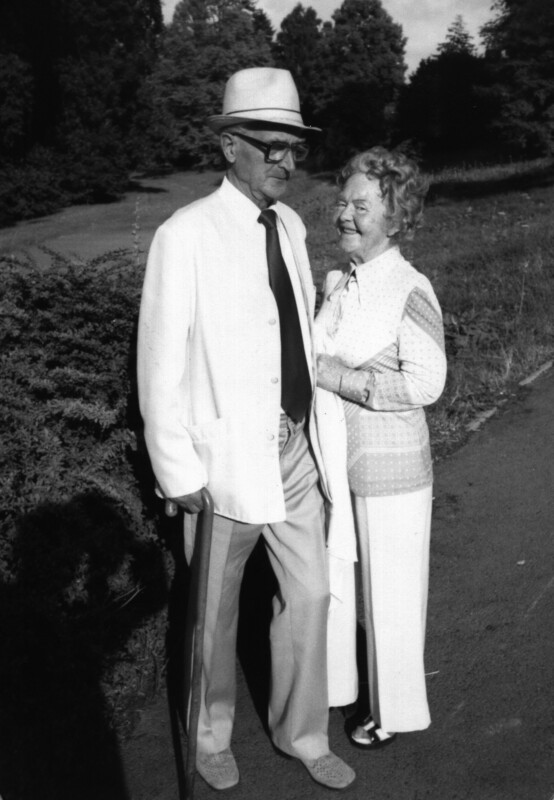 On June 1, 1970 Günther and Elfriede, having both lost their spouses, married in Watzenborn-Steinberg (now Pohlheim) and moved into the aforementioned Seniors’ apartment complex in Kassel-Wilhelmshöhe. In spite of the many blows that fate had dealt her during her childhood and later years, she never lost her innate cheerfulness and thus brought much joy into my uncle’s life. Adventurous and still youthful in spirit they often traveled abroad, taking in the sights of cultural centers in Europe. 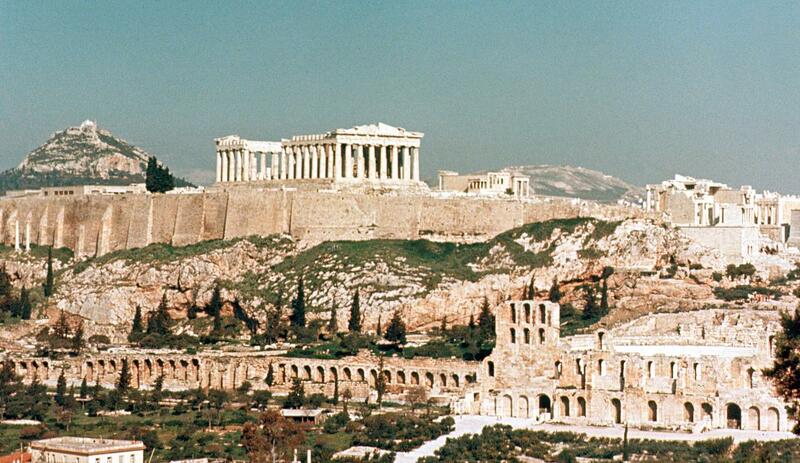 They journeyed to Athens and visited the Acropolis. 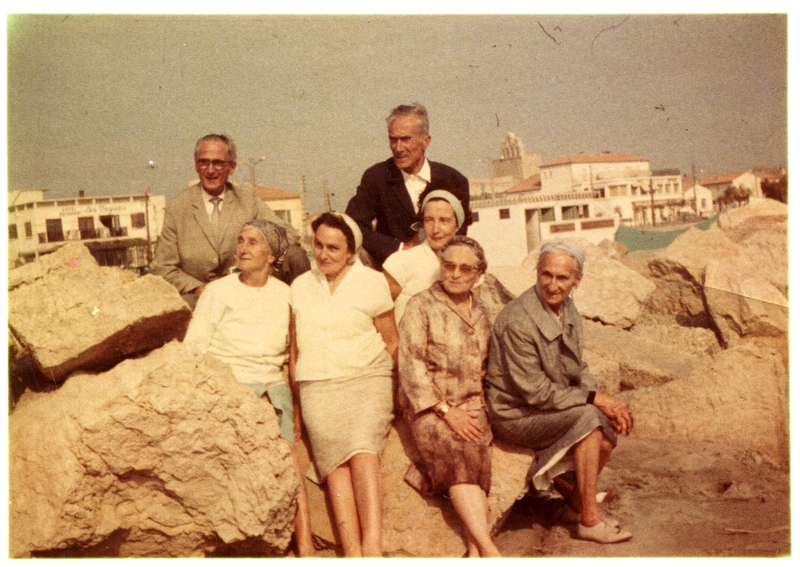 Along with Günther’s sisters and brother Gerhard they ventured in a family excursion to the Mediterranean Sea in Southern France. A highlight in their sunset years must have been their trip overseas to the distant ‘tribe’ of the Klopp-Kegler Clan in Canada. In the early 70’s they visited their nephews Gerhard and me and our families in Calgary and Consort, Alberta. Like having been on a military inspection tour, he could accurately report back to the entire family on both sides of the Atlantic that ‘All is well on the Western front’. 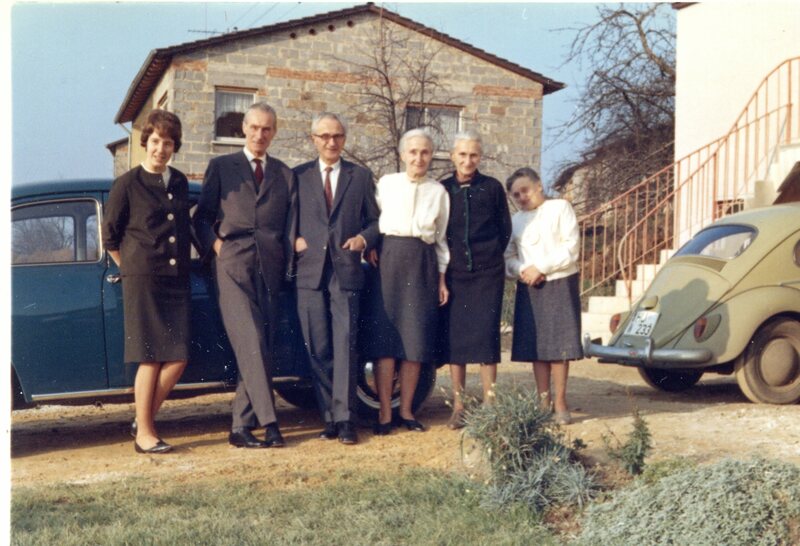 With such visits, which included family members of Uncle Bruno’s descendants behind the Iron Curtain, he greatly contributed to a deep sense of family in spite of huge distances and political boundaries. Günther Kegler was a true patriot who dearly loved his fatherland. Historians made many attempts to trace back the causes of the two World Wars. By doing so they put the blame on Prussia. This German state with its military might was the driving force behind Germany’s first unification after the French-German War in 1871. To single out Prussia as being the root cause for the great wars of the 20th century is a gross oversimplification of history. It totally ignores the injustice done by the Treaty of Versailles, which imposed through its harsh economic measures incredible hardships on the German population. Thus, it created among millions of unemployed workers a fertile breeding ground for the radical ideas promoted by the Nazis, which were swept to power in 1933. There is a lesson to be learned. Social injustice leads to widespread unrest and turmoil, which is often taken advantage of by demagogues, who will gain control with their promises to bring prosperity and set things right. My uncle was deeply troubled by the prevailing historical claims in postwar Germany. They made the ideals of Prussia responsible for all the misery and horror of the two World Wars. 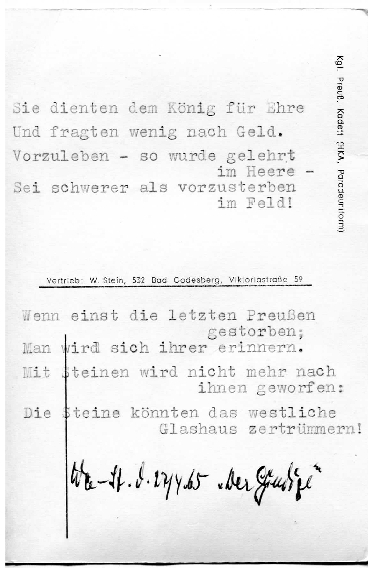 When I immigrated to Canada in 1965, he gave me a postcard with a picture of a Prussian cadet and on the backside he typed a little poem, which I will attempt to translate into English. and did not much ask for money. was more important than to die as hero in battle. The stones could shatter the Western glass house. With these lines I conclude my report on my uncle. Looking at our present day world one might detect in them a somber warning, a prophecy perhaps we wish not to come true. We show our kindness in different ways. I remember Aunt Lucie as that someone special who would take the time to listen to me. At the time I met her I was still in high school. On our walks I would tell her little stories, jokes, and humorous puzzles, some of which I passed on 50 years later to our grandson Mateo. (One puzzle was about catching a crocodile equipped only with an old newspaper, an empty matchbox, a telescope and a pair of tweezers.) When you are a teenager, you are craving the most for acceptance and recognition. Aunt Lucie’s laughter in response to my stories, her genuine interest in what I had to say, her humorous deportment, helped bridge the generation gap and were balm to my soul. Among friends and family members Aunt Lucie was also known as an anti-germ freak. I was told that she would wipe every door knob and handle with a disinfectant when guests were passing through her house. She had to put up with a barrage of nasty remarks about her fears of disease carrying bugs lurking on all surfaces, which could come into contact with human hands. She stuck to her convictions, which while a bit exaggerated have proven her right in the light of our present day wash-your-hands campaign. Aunt Lucie was able to lend a personal touch to kitchen and dining room by painting ornamental designs onto unfinished chests, benches and chairs. The flowery motifs were drawn from what she remembered from her childhood experiences in the Erzgebirge, where she grew up, a mountainous region near the Czech border famous for its many arts and crafts shops. When Biene and I saw her for the last time on our visit from Canada in 1968, she impressed me with her keen interest in our new homeland Canada. I had brought her a little gift, a small replica of a totem pole. Even though she was bedridden and gravely ill, she wanted me to translate into German the lengthy description of the mythological creatures on the miniature pole. These are some of the things I remember about my fascinating Aunt Lucie. 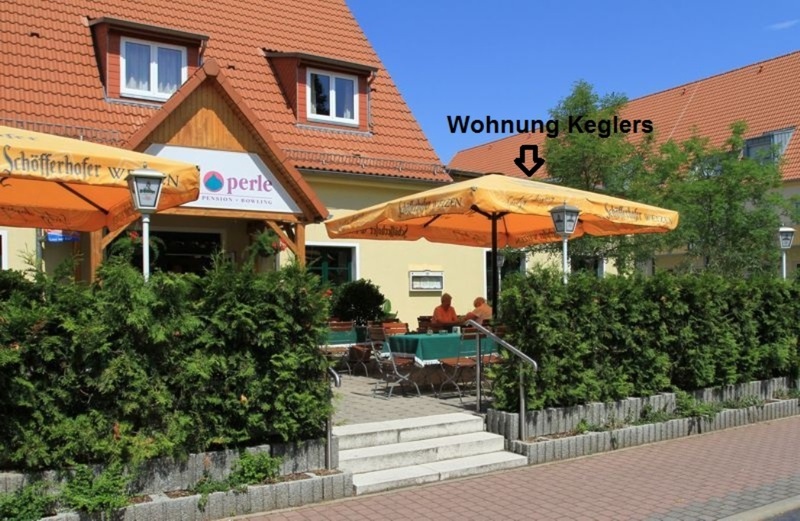 On March 27, 1896, Gertrud Kegler, second daughter of Pastor Carl Kegler, was born at home in the parsonage of Grünewald, Pomerania. She attended the local elementary school from 1902 to 1905. 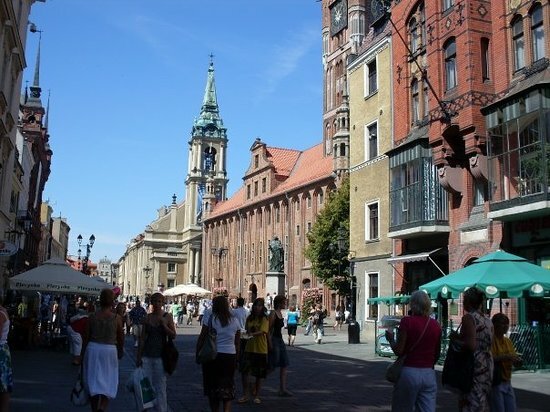 For the following three years she received private instructions in a neighboring village to prepare her for the all girls’ high school in Stettin (Szczecin). Like all the other Kegler children she was confirmed by her father in the village church of Grünewald. It must have been a great joy for Pastor Kegler to see his three lovely daughters sitting in the front pew, while he was delivering his Sunday sermon from the pulpit. He endearingly called Marie, Gertrud and Erika (my mother) his three lilies. During the Second World War she worked from 1939 to 1945 in a military field hospital at Thorn (Torun) tending to the needs to the sick, disabled and injured. This came to a sudden end, when the advancing Red Army forced the medical administration to close down the hospital. 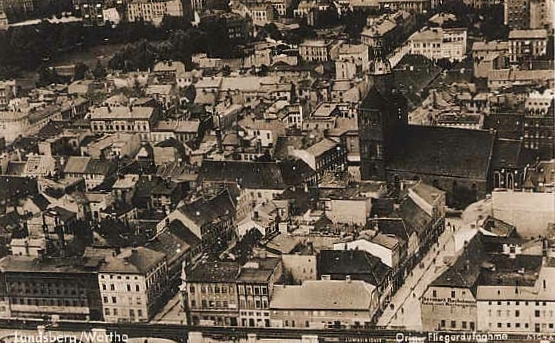 Gertrud fled with her colleagues and managed to reach Stolpmünde (Ustka), where my grandmother Elisabeth and Aunt Marie were renting a small apartment. Shortly after,through a kind of ethnic cleansing all Germans in Pomerania and all the other eastern provinces were expelled from their homeland. So the three eventually arrived in Middle Germany, what later came to be known as the German Democratic Republic. After the war from 1945 to 1947 Gertrud Kegler continued to work as a nurse in Belsen-Bergen, where nearby the infamous Nazi concentration camp was located. 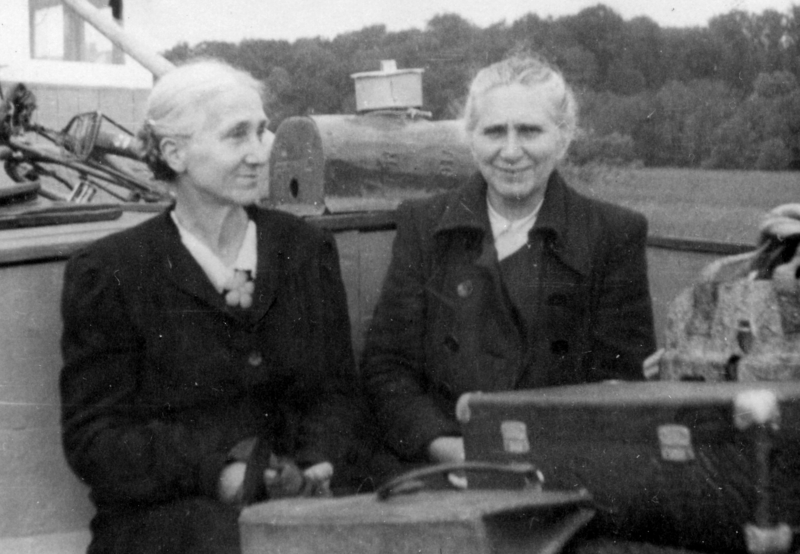 In 1948, the chief physician, who had worked with Gertrud in Thorn, West Prussia, remembered her as a highly qualified and competent nurse. He asked her to join his staff at the hospital in Malchin. There she was employed as head nurse. She helped under most difficult circumstances to build up the medical facilities of the hospital. My wife Biene already described in her fascinating blog ‘This Miraculous Life’ at bieneklopp.com the lure of the ‘Golden West’. In addition to the attraction of greater freedom and prosperity in West Germany, there was a third factor that prompted my aunt to cross the Iron Curtain. 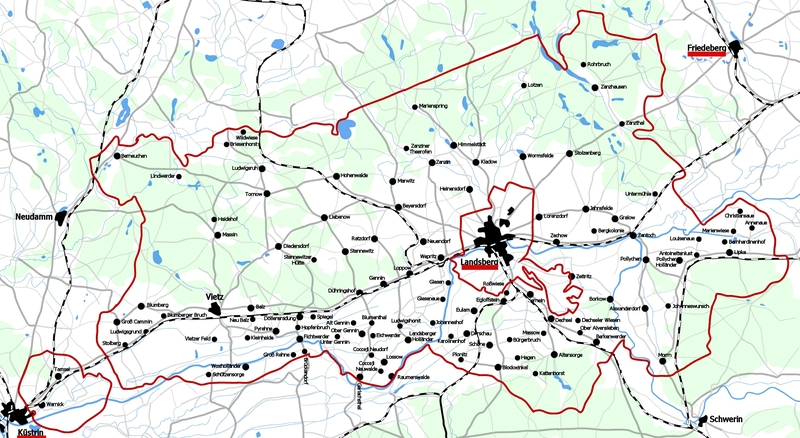 Her sister Marie, who lived with my mother and me in Wesel from 1956 to 1962, had noticed an ad in the local newspaper for the position of a head nurse in a senior citizens’ home and alerted her Gertrud to the opportunity to start a new life in Wesel. When my aunt arrived in 1956, the three sisters were finally reunited. However, what could have been a joyful period for the three, ended in tragedy. On her time off from work, Gertrud would often drop in at our small two-bedroom apartment on the street corner of ‘Auf dem Dudel 1’. Stress from the new and very challenging position as head nurse was written all over her face. It was not just the tremendous workload in a totally different environment that caused her a lot of grief. It was rather the envious and ill feelings her staff had toward the Ossie (slang for someone from East Germany) that gave her so much pain. Also they may not have liked the conscientious attitude of their supervising nurse, who put the care and well-being of the elderly front and center before comfort and ease at the work place. Gertrud did not mince words when it came to correct sloppiness and negligence in the treatment of the most vulnerable in her care. She may also have suffered under depression, which had struck on and off quite a few members of the Kegler family when they had been under great duress and mental strain. After one year of suffering she could not take it anymore. She committed suicide on February 21, 1957. I was not yet 15 years old at the time. Not having a concept of death as a final event for us here on earth, I was not overly shocked by her parting. I remember her as the kind aunt with enormous eye brows, who liked to listen to me, when I was reading aloud from my Latin reader. On January 26, 1898, Gerhard Kegler was born in Grünewald, Pomerania (Province of Germany until 1945). 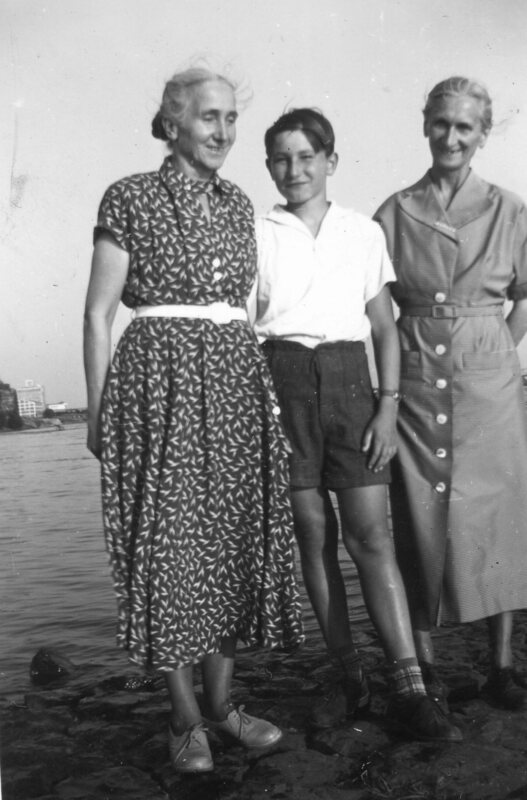 Posts on his three older siblings Marie, Günther, and Gertrud can be found in the archives of this blog. 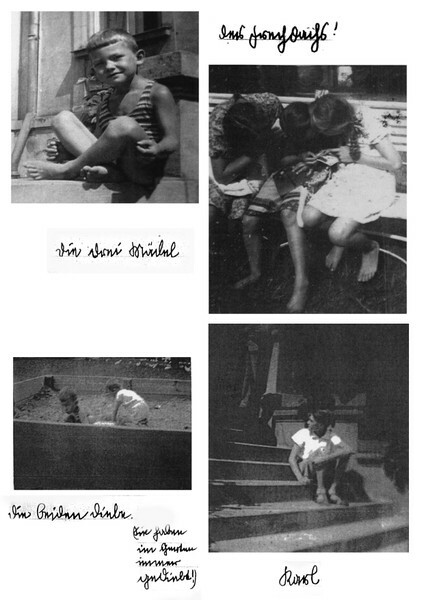 They show how the children of Pastor Carl Kegler and his wife Elisabeth had a happy childhood in the small Pomeranian community of Grünewald. Also the third chapter of the P. and G. Klopp Story has more information on the Kegler family background, which therefore need not be repeated here. 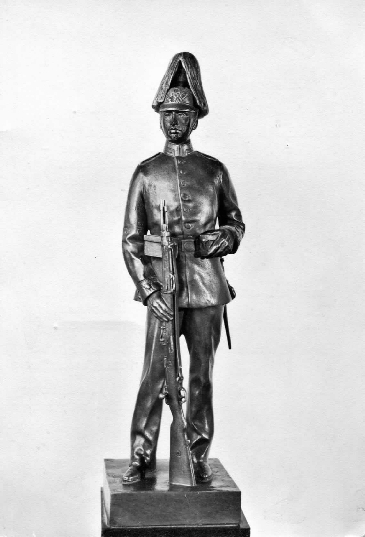 Like his brother Günther, Gerhard began his military career as a cadet in 1908. The outline of his comet-like rise in the ranks of the German army follows below. 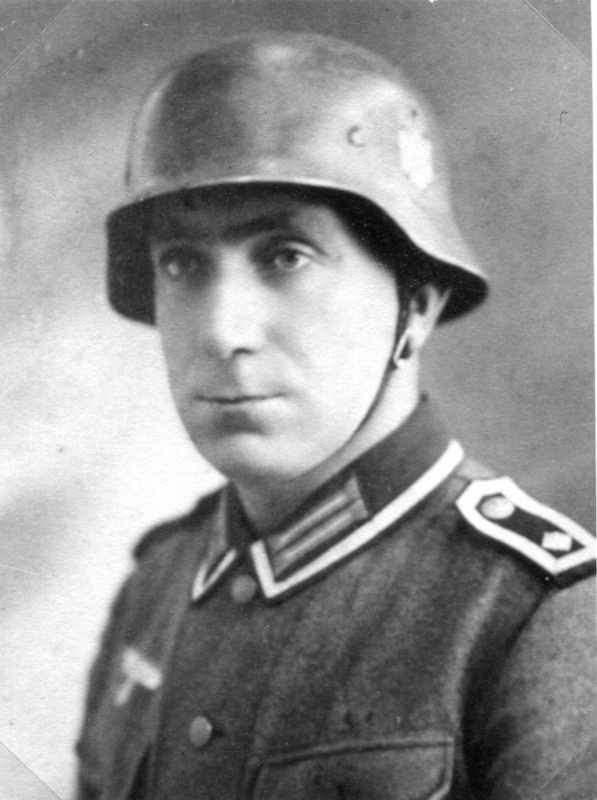 In February 1945, Gerhard Kegler was condemned to death after being court-martialed for disobeying Himmler’s orders to defend the town of Landsberg on the River Warthe. The following posts will deal with the circumstances leading up to this terror verdict and will hopefully contribute to dispel the myth about all German officers blindly following the Nazi Regime without any moral backbone. On the 30th January 1945 I received orders from Himmler to take command of the ‘Woldenberg’ Division without being given any orientation on the subject, nor the division’s task. I had to find the division. I found the division’s command post east of Friedeberg. It had no signals unit and there were no communications with a superior headquarters. I took over command at about midday as I found this recently established ‘division’ in the course of disintegration as it retreated to Landsberg. While I was busy in Landsberg on the morning of the 31st January with the organization and deployment of the available units, I discovered that the ‘division’ had no anti-tank weapons, no ammunition or food supply arrangements and no signals unit. Neither was there a divisional medical officer. The artillery consisted of two horse-drawn batteries. The ‘division’ was not a ‘strong battle group’ nor were the troops battle­-worthy. The population of 45,000 inhabitants were still in the town and no preparations had been made for evacuation. I received Himmler’s orders from the commander-in-chief of the 9th Army to defend Landsberg as a fortress over the tele­phone. 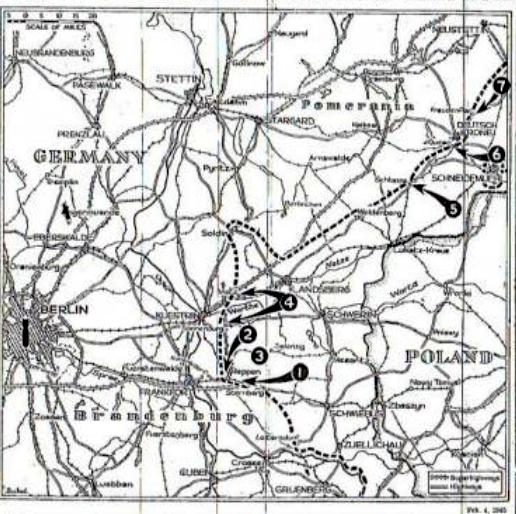 Russian tanks were already north of the Warthe-Netze sector. I had the Warthe Bridge demolished. After some consci­entious consideration, I decided to disobey this order [to defend Landsberg], which I considered senseless and whose compliance would serve no purpose other than great loss in human life. Landsberg was abandoned by the ‘Woldenberg’ Division that same night. 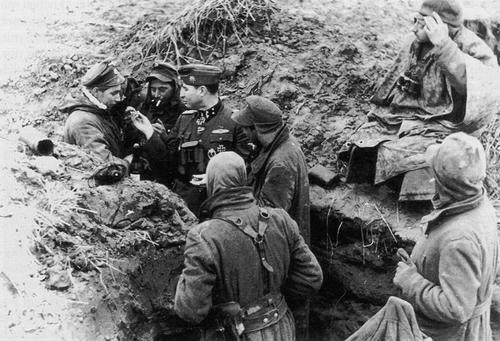 Major-General Kegler had set the withdrawal for February 1st, as the Soviet spearheads had already reached Küstrin some 40 kilometres to his rear, but his demoralized soldiers would not wait and abandoned their positions in the dark. The headquarters staff were only able to stop these demoralized units with difficulty some 3 kilometres west of the town. Kegler reported by telephone to the 9th Army commander, General Busse, who had meanwhile established his headquarters in the Oderbruch village of Golzow. Busse demanded that Landsberg be retaken and defended, threatening Kegler with court-martial in accordance with Himmler’s orders. Nevertheless, Kegler stuck to his decision to withdraw to Küstrin by stages over the following nights. Even this, in view of the state of his troops and his open flank, was risky, and depended to a large extent upon their not being attacked as they withdrew along the northern edge of the Warthebruch on Reichsstrasse 1. On the morning of the 31st January my unit rejoined the Königstiger SS-sergeant-maior about 4 kilometres west of Landsberg in the Wepritz area. As we were still without a super­ior command or orders, I had us retreat westwards. Beyond Dühringshof I was met by a car with a general, who received my report, did not introduce himself nor did he name his formation. He ordered me to deploy left of the road to Diedersdorf. My left-hand neighbor would be Second- Lieutenant Clemens’s unit. When we stopped a Russian armored reconnaissance vehicle with infantry fire, the soldiers jumped over the sides with a blanket that was supposed to protect them from our fire. That night the first Russian attack occurred with more on the 1st, 2nd and 3rd February. Small enemy breaches were driven back with counterattacks by the exemplary fighting recruits. On the 3rd February I was summoned to a conference by the divisional staff in Vietz town hall. Here for the first time I discovered that my unit belonged to the ‘Woldenberg’ Division. The divisional commander, Major-General Kegler, described the situation. The division was surrounded by Russian troops. Vietz station on the south-eastern edge of the town was in enemy hands. Blumberg was also occupied by the Russians. Two enemy infantry regiments were at Gross Cammin. Communication with Küstrin was severed. Re-supply was only possible by air. His decision was to leave. The orders handed out by the divisional chief of staff for my unit and that of Second-Lieutenant Clemens were not possible of execution or would entail heavy losses. I therefore rose to protest and suggested that we should first disengage ourselves from the attacking enemy so that the immovable heavy weapons and especially our infantry could get out of the diffi­cult terrain and deep snow. As the general declared to the chief of staff that this was also his opinion, the following radio message arrived from headquar­ters 9th Army: ‘Report situation and intentions. Hold Vietz.’ Major-General Kegler promptly rescinded his orders for the division’s withdrawal. Back in my position and after speaking to my left-hand neigh­bor, both of us fearful of having pointless high casualties among our recruits, I decided to convince the divisional commander that he should stick to his plan to withdraw, and that in any case I would decide according to my conscience. I returned to Vietz. Once an order had been given it must be adhered to in order to keep up the morale of the troops. The Army Headquarters’ radio message ‘Report situation and intentions’ unusually left open the decision. If this was not so, the message would have read: ‘Report situation. Hold Vietz.’ While it was expected that the Army would correctly use tactical language and especially stressed ‘Report situation’, it meant that it was holding open the opportunity for us to decide for ourselves in this special situation, and our decision was ‘Withdraw’. There had also been instances in this war in which troops had withdrawn against orders in recognition of their hopeless situation, had upheld the morale of their troops and the officers had received high decorations. The decisive argument, General, is in accordance with one’s own conscience. The responsible officer must, if common sense is to prevail, understand that slavish obedience in a hopeless situation only condemns him to a senseless bloodbath, which he should spare his men. I immediately sent all the staff officers to the units, where they with the sector commanders were to stop the units and individ­uals retreating and incorporate them into the local defense. I then asked a colonel to take over command of the division as a matter of seniority, which he accepted under the condition that I assumed tactical control. The withdrawal of the division was made ready and all sector commanders summoned to an order group in Vietz at 1500 hours. The road to Küstrin was not blocked by the Russians. There were no Russians in Gross Cammin, the nearest enemy movement being in the northerly neighbouring village of Batzlow. I stuck to the original plan. 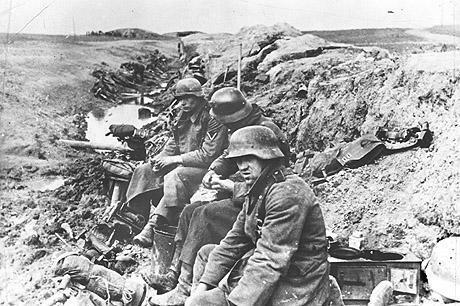 A radio message was sent to Küstrin fortress about the division’s withdrawal. The order to withdraw was given at 1500 hours and went without problems. When I later went into Vietz with the amphibious jeep to check the enemy situation, the first enemy scouts were already feeling their way forward. At dawn on February 4, the remains of the ‘Woldenberg’ Division began crossing the anti-tank ditch that blocked the Landsberger Chaussee at the eastern end of Küstrin. They had already come to within 10 kilometres of the town the previous day but had waited for darkness to get through the area occupied by Soviet forces. General Busse had sent a young liaison officer to meet them, but without any instructions for Major-General Kegler. When the latter arrived in Küstrin he was promptly given orders to report to the standing court-martial in Torgau, thus becoming one of the last to leave Küstrin by the normal road. As the witnesses to the events leading up to Kegler’s court martial were now trapped in Küstrin, evidence had to be obtained from them by telephone. What follows is partly translation partly adaptation of a report I found in the German army encyclopedia: Lexicon der Wehrmacht. On January 14, 1945 Gerhard Kegler was put on the generals’ reserve list, which was no surprise considering the fact that so many entire German divisions were wiped out during the closing weeks and months of WWII. During that time he took a six-week medical leave at my parents’ place at Gutfelde (Zlotniki) near the town of Dietfurt (Znin), where I was born in 1942. 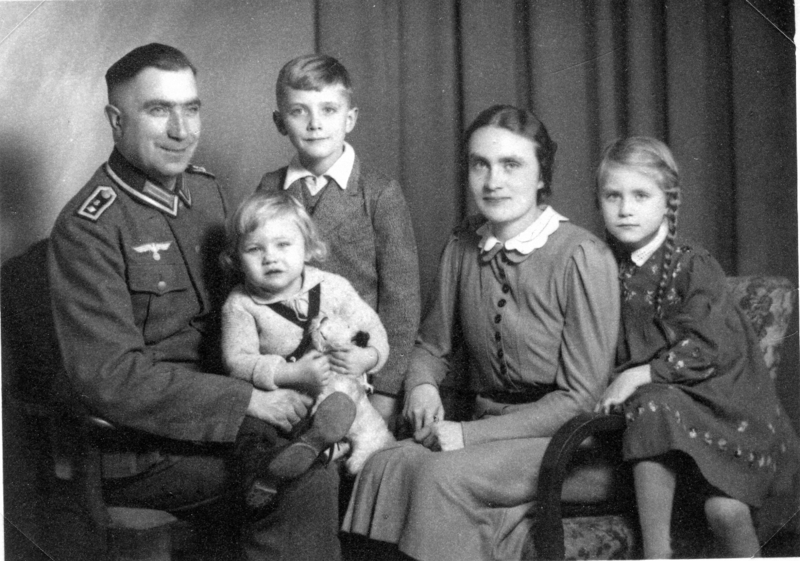 He believed he would best recuperate in the presence of his wife and children, who had found refuge in Gutfelde from the bombing raids in Central Germany. Perhaps, if he had gone to an official health spa instead, to which he had been entitled, he might have avoided all the troubles that lay in wait for him. On January 20, 1945, while still on sick leave, Gerhard Kegler received a call from army HQ with the order to take over the command of a division. A few days later he was assigned to the post of battle commandant at the city of Thorn (Torun). On January 26, while his family had to flee without his help from the advancing Red Army, he was heading to his assigned post. However, he was unable to reach his destination, since the enemy had already captured the city of Thorn. So instead he was given the command over the newly formed Woldenberg division. He arrived at Friedeberg (Strzelce Krajeńskie) on January 28, where the division was located. On the very same day the Soviets attacked with about 40 or 50 tanks. 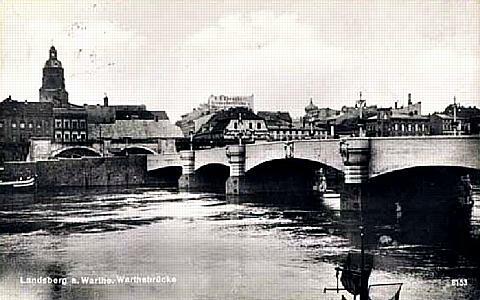 The town was taken and the division was broken into fragments, most of which managed to withdraw to the city of Landsberg (Gorzów Wielkopolski) at the river Warta. 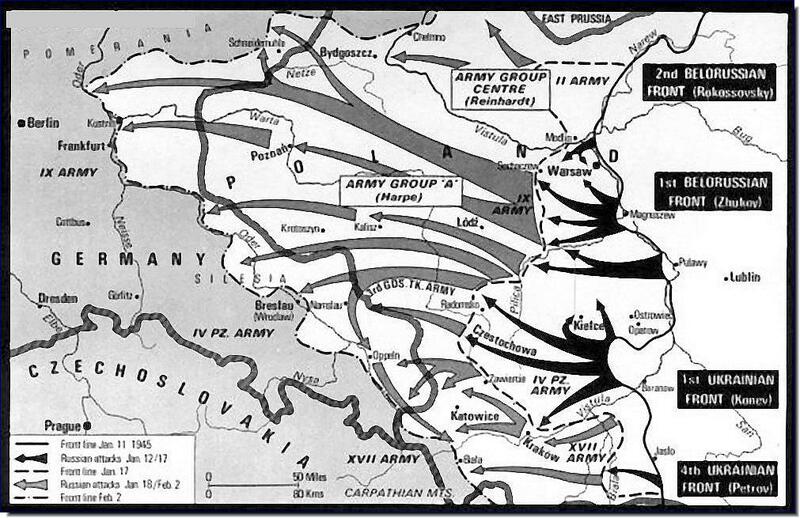 In those chaotic days, when the entire Eastern Front was at the point of collapse, Hitler in his fortress-like command center in Berlin was moving on military maps tiles, which represented in his mind fully equipped and battle experienced divisions, but in reality were nothing but units that only existed on paper. One of these phantom army units was the so-called Woldenberg division consisting mostly of inexperienced, inadequately trained and equipped soldiers and a lot of useless non-army personnel, with which Major-General Kegler was supposed to defend the Fortress of Landsberg against the impending assault on the city. If you have not read the previous posts on Major-General Kegler, you can look them up by clicking on I, II, III, IV, V and VI. Parts V and VI are a digression from the report extracted from the book: The Siege of Küstrin – Gateway to Berlin 1945. 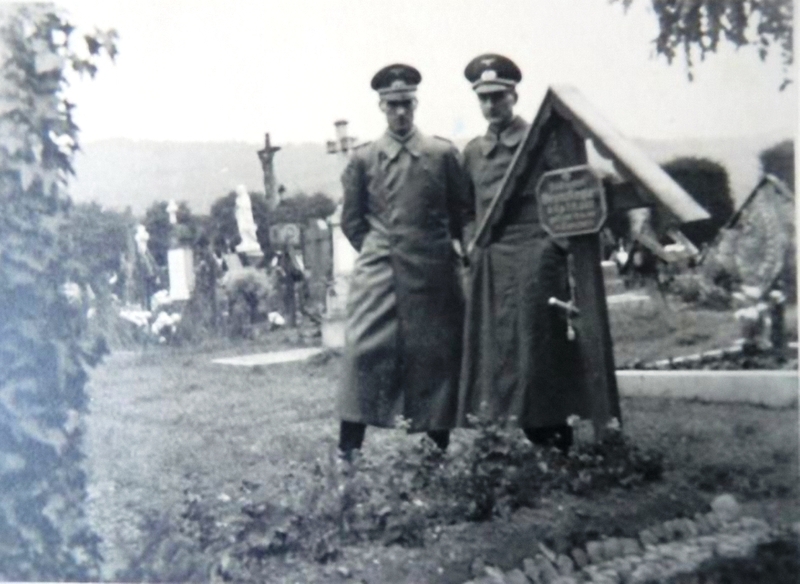 But they provided some valuable insight into Kegler’s personal life before he was called away from Gutfelde to become commander of the newly established Woldenberg Division and also commandant of Landsberg/Warthe, which was declared a fortress by Himmler. “At dawn on February 4, the remains of the ‘Woldenberg’ Division began crossing the anti-tank ditch that blocked the Landsberger Chaussee at the eastern end of Küstrin. They had already come to within 10 kilometres of the town the previous day but had waited for darkness to get through the area occupied by Soviet forces. General Busse had sent a young liaison officer to meet them, but without any instructions for Major-General Kegler. When the latter arrived in Küstrin he was promptly given orders to report to the standing court-martial in Torgau, thus becoming one of the last to leave Küstrin by the normal road. As the witnesses to the events leading up to Kegler’s court martial were now trapped in Küstrin, evidence had to be obtained from them by telephone.” Thus, one reads in the book ‘The Siege of Küstrin: Gateway to Berlin 1945’. Court martial proceedings against Major-General Gerhard promptly began on February 11, 1945 and ended on the following day with the pronouncement of his death sentence for not having defended the city of Landsberg against the enemy. 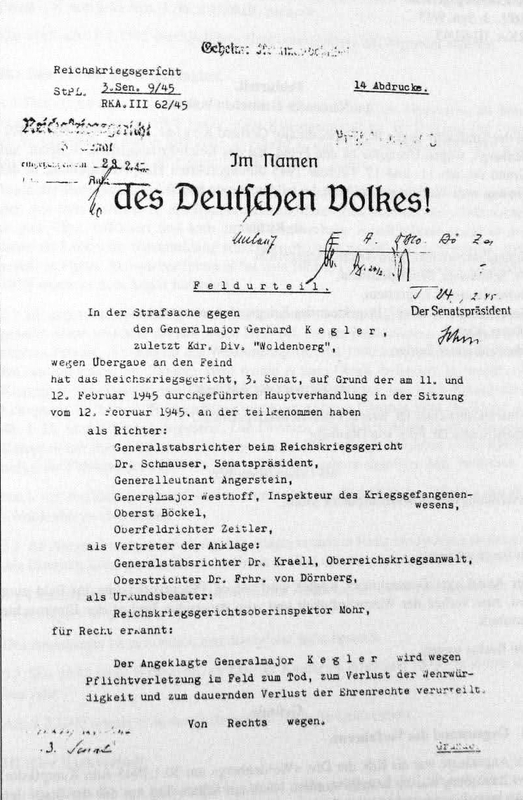 The bottom line of this document written ‘In the Name of the German People’ reads: The accused Major-General Kegler due to his breach of duty on the battle field is condemned to death, to loss of his eligibility for military service and to perpetual loss of his civil rights. Von Scheele, the president of Nazi-Germany’s Court Martial Justice System, brought about a suspension of the death sentence and postponed its execution to the end of the war.Demoted to the rank of a private, he was to die a heroic death or to prove himself worthy to be pardoned. As a soldier in the battle field he was severely injured losing his right arm and in the closing weeks of the war became a prisoner of war of the British, who promptly promoted him back to the rank of a ‘Nazi-General’. When in 1952 he applied for a pension as a former general of the armed forces, the official in charge declared, “You have been condemned to death by Himmler!” and turned down my uncle’s application. What followed is hard to believe. Gerhard Kegler had to apply to have his death sentence annulled in order to be eligible for his pension. 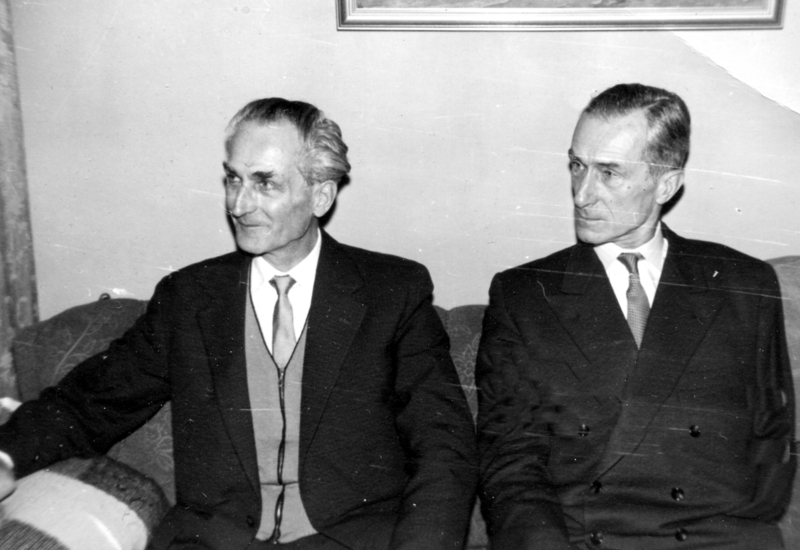 However, the provincial court of Hesse in Giessen rejected his application on the ground that he had missed the deadline regarding compensation for injustices suffered under the Nazi regime. The West-German press heard about this case and spread the news about the condemned general with headlines like ‘Does Himmler still rule from his Grave?’. The news created such a public outcry that in the end Theodore Heuss, the first President of the Federal Republic of Germany, stepped in and officially rescinded the death sentence. Thus, my uncle finally regained his status as general in retirement and was able to draw his pension. While Gerhard Kegler was fighting for his pension with the bureaucratic system of West Germany, he also had to defend his honor as former general of the ill-fated ‘Woldenberg Division’. As this post and next week’s post are going to be the last ones on my uncle’s military life, I consider it important to publish his own personal response to the slanderous attacks by his former commanding officer (General Busse) of the 9th Army and let Major-general Kegler have the last word on this matter. On January 30, 1945 I received from Himmler the order to take command of the ‘Woldenberg Division’. I did not receive any orientation about the military situation nor any specific instructions. I had to locate the ‘division’ myself. I found the command center east of Friedeberg. There was no connection with any high-level command posts. Adjoining troops did not exist. Shortly before noon I took charge of the command at a time, when the hastily assembled ‘division’ had already begun its retreat in a nearly disintegrated condition. In the morning of January 31, I was busy with the arrangements of the left-over army units in Landsberg. Then I noticed that the ‘division’ had no antitank weapons, no reserves of ammunition and food provisions, and no communication units. There was no physician for the ‘division’. The artillery consisted of two horse-drawn batteries.The ‘division’ was not a “very strong fighting unit”. The troops were definitely not battle-ready. For the town of 45000 inhabitants no preparations had been made for its evacuation. 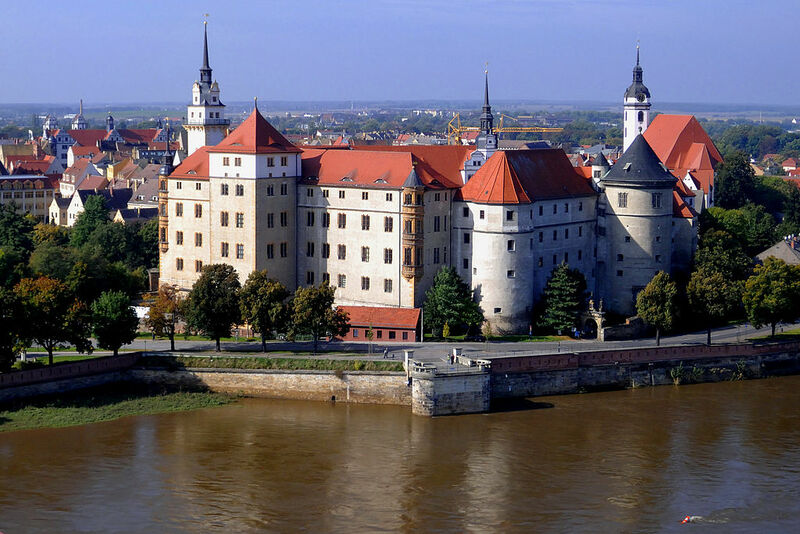 The high command of the 9th army passed on to me through the army’s mail service Himmler’s order that I had to defend the town of Landsberg as a fortress. On that day Russian tanks had already entered the area north of the Warthe-Netze region. I ordered the Warthe bridge to be blown up. After much conscientious deliberation I decided to disobey the order, which I considered senseless and whose execution could not have brought any positive results, but would have cost great unnecessary human sacrifices. In spite of being threatened with court martial proceedings, I remained loyal to my conscience and relying on my three years of front experience in Russia I led the ‘division’ within four days in an orderly fashion to Küstrin with the purpose of integrating the troupes into the Oder front. General Busse, former commanding officer of the 9th Army, describes in an article to the magazine ‘Wehrwissenschaftliche Rundschau’ the situation with the words, “He fled in a train to Küstrin”. Nothing could be further from the truth. The description and his conclusions do not agree with the facts. 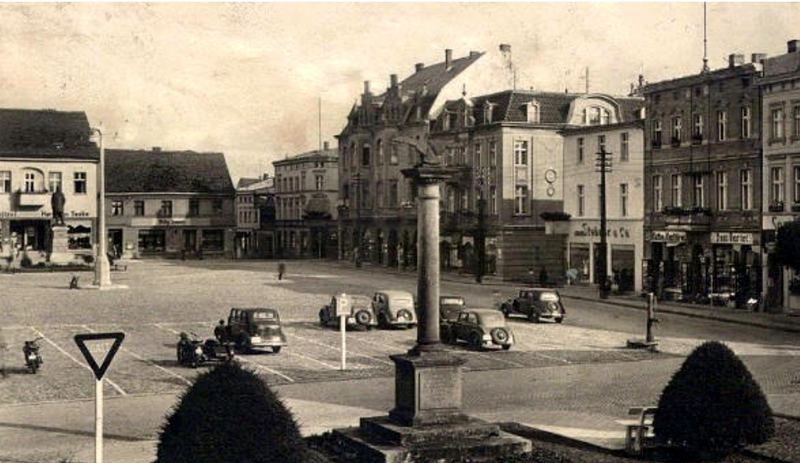 In the early morning hours of February 2, 1945 I arrived with the last unit at Küstrin-Neustadt. There I received the order to report to the war tribunal at Torgau. Dr. Jur. Freiherr von Dörnberg was commissioned to act as investigating judge. He could not prevent that I be sentenced to death, as it was then customary, and be sent on ‘probation’ to the Eastern Front, where as a regular soldier I was seriously wounded on the first front line. Thus, from the first to the last day not only as soldier did I prove my mettle, but also saved the lives of many comrades and civilians through my opposition against a senseless retaining order (Durchhaltebefehl in German – defense order to fight to the last man). Dr. Dietrich Kegler, the late Majorgeneral’s son, is presently writing an epilogue, which I will publish in a future post, as soon as it becomes available. My grandmother Johanna attended a teacher’s college in Stettin. Her hometown was Hirschberg in the Giant Mountains. Her father, the headteacher Ludwig Engel, had chosen this institute of higher learning, because in contrast to all the others only female students were educated here. Now it so happened that a young customs officer by the name of Bruno Kegler was a guest at her cousin’s place. On the wall of the apartment hung Johanna’s picture, and Bruno curiously asked who she was. He was being informed, and he in turn asked if he could pass on a greeting to the cousin. He was permitted to do so. 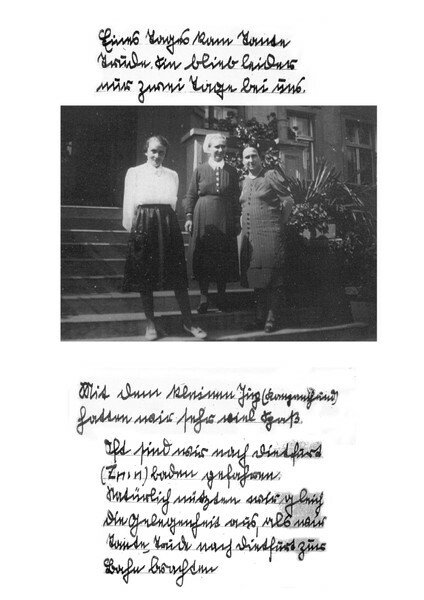 When Johanna during her semester break was at home in Hirschberg, she received one day a letter with a strange handwriting with the even stranger address, “Dear honorable Miss!” She laughed and showed the lines to her parents. She read out that the writer had requested a meeting with her so he could pass on her cousin’s greeting. Father Ludwig immediately said, “You will write that there will be no such meeting, because you happened to be in Hirschberg just now.” Johanna sat down at once and wrote her refusal on a tiny little letter card. The envelope landed into the mailbox, while her father was overseeing it from the balcony, and Johanna contentedly spent the rest of her vacation. When she was back again in Stettin, Bruno wrote another letter to Hirschberg, The letter was opened, but at least was forwarded to Johanna in Stettin. It contained the repeated request to pass on the greetings. Johanna showed the message to her classmates, who warned her about the forceful handwriting. Nevertheless she responded to the letter and gave a time and place, a café, for the date. All her classmates wanted to come along! As a sign for recognition Bruno had indicated that he would wear a gray suit with a white carnation in the buttonhole. Johanna wanted to wear a white dress and a white scarf. When she showed up at the appointed time in the café, she saw … two gentlemen in gray suits, and nobody had a white carnation in the buttonhole! But one of them rose, walked up to her and introduced himself – and it was like if they had known each other for years. For Johanna a wonderful time now began. They saw each other as often as they could; they went on hikes together and enjoyed steamboat excursions. To the two old ladies, from whom he was renting furnished accommodation, Bruno said already after their first date that he had just got acquainted with his future wife. Without saying anything to Johanna he wrote to her parents, described his economic status and his family and asked to pay them a visit. 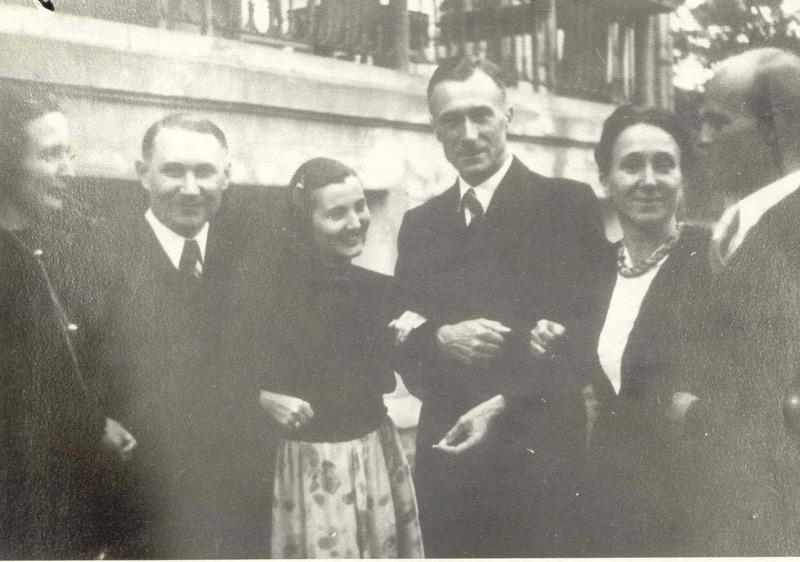 That being granted, they met and got to know each other, and on April 29th, 1930, Johanna and Bruno got married. 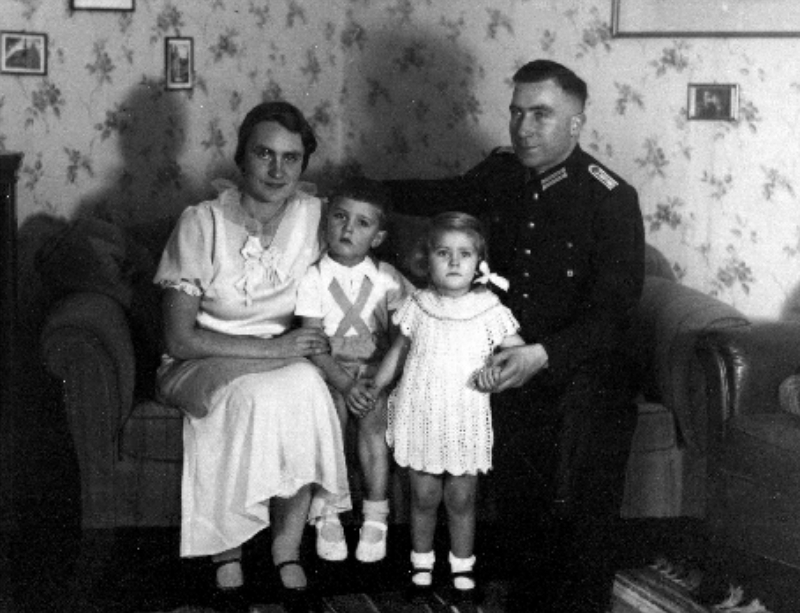 They were a very happy couple and consolidated their happiness with the births of their children Hartmut, Elisabeth and Jürgen. When the war broke out in September 1939, Bruno considered it his duty to participate in Germany’s struggle to shape her destiny. He enlisted in the army. At that time he was an enthusiastic supporter of National Socialism and proud to be a member of the Party with a fairly low membership number. He took part in the campaign against Poland. However, upon his return he was totally depressed and disgusted about what he had experienced. He said to his wife Johanna that the Party was nothing but a criminal bunch of rabble (Sauhaufen). With his illusions about a better world destroyed, he had to go back to the front lines. 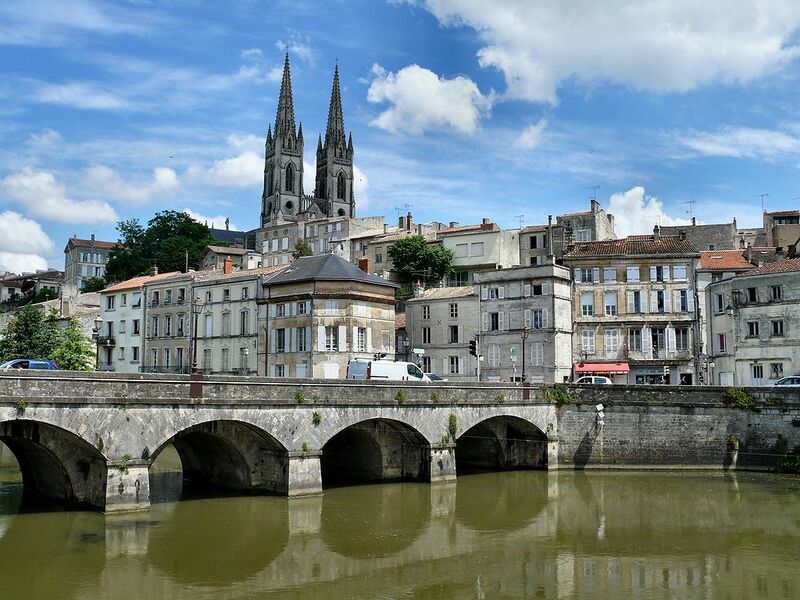 “The journey back home went over Paris in the direction of the Vosges Mountains. By the way, we slept in the open air, ate little, and experienced much. On a map I discovered the little village of Kientzheim. I wondered if it was possible to locate my father’s grave site. I found it marked by a simple wooden cross and a tin tag, which every soldier had to wear on his body. It was a strange feeling to read my father’s name in an unfamiliar region of a foreign country . It was like something very much alive rising from the ground, quite a mystifying feeling. While I was squatting down at the grave site, a woman approached me and asked if I was a relative of the German soldier. When I had introduced myself as the youngest son of Bruno Kegler, she began to tell me the following story. “I was 10 years old at the time. Germany’s attack on France lasted only a few weeks. France was ready to surrender. June 18, 1940 was a sunny day. A company of German infantry was approaching the village on bicycles. Although they could see no French soldier far and wide nor hear any shots, the commander, Sergeant Bruno Kegler, let his unit wait at the village outskirts and went alone into the village. He wanted to find out, whether the quiet scene was perhaps a trap. He stopped at our house, which was close to the graveyard wall, and asked, if he could have a look from the attic window. He wanted a better view onto the surrounding area. I was just a little girl and accompanied the German soldier to the attic. There he was attentively looking out of the window. I stood next to him. Suddenly a shot rang out. He touched his head and said, ‘I have been hit’. Then he collapsed onto the floor. When my mother alarmed by my screaming entered the attic, Bruno Kegler was already dead. Jürgen Kegler continues, “When I returned home from my bicycle tour, I reported what I had experienced. 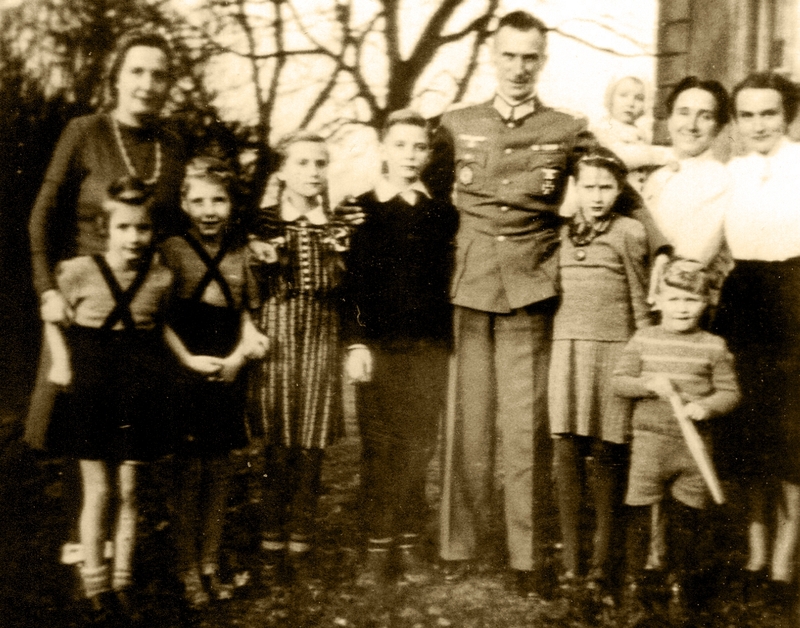 My uncles reproached me for not letting my mother in the belief that my father had died for ‘Führer, country and his people’, as it was written in the letter from the regiment’s commander. But she took the news in stride. She even was thankful for it. she knew that the notifications were all worded the same way, and that the circumstances of death were, however, always different. Senior secondary teacher Kern entered the classroom of his senior secondary grade. He had been in charge of the class from the lowest Junior High grades onward. He was so familiar with each of the twenty-one faces as if they had been his very own children. However, he no longer had his own, because one already counted the third year of war, and his two sons lay buried under foreign soil. The war was also the reason why Mr. Kern had not yet been in retirement long time ago, although he was already over seventy years old. The young teachers were at the front or did not live any more. Since Kern was a man, who did not permit the propaganda to form his convictions. There would have been often enough cause to send him off into retirement. Mildly put! But the young teachers were at the front or did not live any more. Ludwig Kern entered the classroom, made a slight bow and greeted his students with a friendly “Good morning”. This would have been also a reason to send him off into retirement, but young teachers were lacking, you see. His students had jumped up, stood in attention, and returned the greeting by raising their right arm and by shouting “Heil Hitler”. They did not know it any other way, and they did not want it any other way. Senior teacher Kern knew it and ignored it. He loved his class dearly, for the boys were industrious and gifted. Some of them especially so. Therefore, the instruction brought him joy, even though it was less than an instruction than a conversation, at times almost a scholarly discussion. 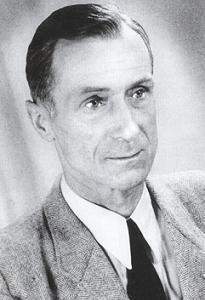 Yes, ‘Papa’ Kern, as his students secretly called him, had to make use of all his control registers, not of the volume control, but of his intellect to answer tricky questions or settle differences of opinion. His secondary high school students knew how to use their heads; they had not lost their ability to think. ‘Strange’, Kern sometimes thought, ‘they are able to think, to logically and sharply think things over. In the morning, in the school, in Math and Latin … and in the afternoon they march in step in uniform and sing, ‘Führer, give orders, we follow you’ or also ‘Bombs on England’. As if they had left behind their minds at school. Sometimes Kern was annoyed about it. But only sometimes; for he had already become accustomed to this inner conflict, which had overcome so many people all around. ‘Their eyes will be opened one day’, he thought full of bitterness and distanced himself with his inner being from what was called the ‘German people’. Indeed there were only a few who were opposed. At any rate before the collapse. The students had taken their seats and opened their biology books. The commotion that had arisen subsided when senior teacher Kern had stepped from his lectern and walked between the rows of benches. He felt discomfort about this hour every year, for it touched on awkward subject matters. Until now things had gone rather smoothly, because in previous classes fewer questions had been raised. But these boys? The others have rarely shown themselves as bright and open-minded like these. He was really a little bit afraid. “How then does one picture the racial development of man?” asked Jochen Borsdorf. Ludwig Kern sensed that this question would set the ball rolling. After all there were the ‘racial laws’ that stated the opposite of what he wanted to pass on to his class. The humanistic educated senior teacher, an ‘old Latin scholar’ as he was called, had occupied himself with the ‘jungle doctor’, who some time ago had been invited with the ‘German salute’ by the propaganda minister of the Reich to come to Germany, and he in turn had rejected the invitation with the ‘Central African salute’. His wife had to flee from Germany, because she was Jewish. Kern avoided the word ‘inhuman’, for he had learned to say things without calling them by name. Besides, this word had lost its meaning long time ago. ‘Humanity’ sounded almost decadent if not even worse. Heroism was in demand; death was more honorable than life. “Correct”, interrupted him the teacher, who wanted to lead the dispute back again to the safer realm of biology. “That has nothing to do with race”, Kern retorted a little annoyed, “the stupid and the smart, the bastards and the heroes can be found in every human race, just as there are more or less productive individuals in every animal species.” Again he wanted to get off that slippery topic and switch to the neutral subject of biology. But Herman did not give up. He did not continue out of malice, for he had nothing against his teacher. He even respected him very much. He overlooked this bourgeois ‘Good morning’ instead of the German ‘Heil Hitler’ and excused it on account of his advanced age. Seventy years! My God, no teacher gets that old. Well, you know what I mean! Herman just wanted to get an explanation from his teacher that indeed there are valuable and less valuable and even inferior races. Until now nobody has given him any satisfactory explanation. There had been constant talk though that the Russians are subhuman, the black people are no human beings at all and the Jews are pests. That is what the propaganda minister had said himself, he who had a doctor’s title. There must be something to it! In front of Kern’s inner eyes appeared countless names, names of Jewish doctors, scientists, writers, artists, business people, whom in part he had personally known or whose works he had read and who had suddenly disappeared. Where to? Emigrated? Killed? He suspected horrible things. ‘What was Germany without the Jews’, he wanted to reply to the stubborn student. But he held back. The slippery ice was already too thin. He was already seventy years old, but still wanted to survive. Kern was breathing deeply. His heart was pounding all the way to his neck. Depressing silence reigned in the classroom. The students were staring at their teacher in amazement. Only a few suspected why he only said ‘Good morning’, when he entered the classroom. This suspicion let them forget the respect that they normally displayed towards their old home room teacher. Were not all the Jews responsible for Germany’s downfall? Did they still have a right to …? Here some did not dare to think any further, but many did it anyway. Even with a ‘good ‘ conscience! For it had lost its standard, perhaps it had never known the real standard. Reverence for life was foreign to them. They did not even have it for their own life; otherwise they would have thought about ‘death in action on the fields of honor’ still waiting for them after graduation. The lesson carried on with the discussion of Mendel’s laws about the heredity of traits. Now one was dealing with peas again and that was less incriminating indeed. The recess bell was ringing. Senior teacher Kern left the classroom with a moist forehead and a feeling that was more uncomfortable than when he entered the classroom. But it was not fear. It was more like an aching uncertainty, for he sensed that the lesson was not yet finished. “Just another Abraham Silberfuss”, one of them growled. His name was Adolf and was called Bully, because he was so huge and pompous. “Shut up!” protested others, not because they were pro-Jewish, but they sided with their teacher in spite of everything. “Then the Führer has perhaps thrown them out without cause, those hook-nosed?” yelled Bully. Now nobody was saying anything any more, perhaps because they now noticed that secondary teacher Bernhard was standing in the classroom and had listened to the dispute. When the latter saw all the eyes focused on him, he only shouted, “Out!” The students had to leave the classroom during recess. Bernhard, whom they contemptuously called Egg Man because of his wobbling gait during history instruction, was on supervision duty. “What was that ‘Silberfuss’ talk all about”, Bernard asked the Bully, who had made that angry remark about Abraham. The rascal was still too excited to recognize what would come out of his answer that he had to give his teacher now. Further, one was trained to be honest. A German boy does not lie, so they said. Surely, he was also way too young and above all too fanatical to recognize how much depended on his answer. Fanatics are like blind animals. So he reported the incident to his teacher, whom he did not actually like very much. “Kern asserted that the Jews had the same rights as we and that we should even help them!” It escaped him and his teacher that he had simply said ‘Kern’. That’s how absent-minded both were, and yet they both showed presence of mind. “That is Bolshevism!” Secondary teacher Bernhard let it slip out and left the student to himself. Bolshevism? Had the Bolsheviks themselves not persecuted the Jews? The student sensed something evil, when he, sobered up, saw secondary teacher Bernhard dash off. This somber mood, however, did not last very long, because his conscience was all right after all. His good conscience with the standard set by his Führer, which consisted of a substance of semi-solid consistency, like rubber or chewing gum. “They are both equally close to my heart. I said nothing else, Mr. Bernhard!” senior secondary teacher Kern replied very calmly. Phantom-like silence gripped the staff room. Kern only thought, ‘We are already closer to our non-existence than existence.’ But he did not say another word. Meanwhile Bernhard went to his seat at the large table and only murmured, “But that is not my business.” He would hand this matter over to the authorities, took his books and left the room, for the bell for the next class had rung. This had been the last period of instruction for Ludwig Kern, for the time being anyway. Sweltering heat lay over the little town that had become even smaller, before the last siren had finished wailing and the last artillery shell had struck. The horrible war had come to an end two years ago and had left behind nothing but rubble and ruins. Some rubble made of stone and some ruins of the mind. Almost half of his former senior secondary students did not live any more. Four of them had joined the SS division ‘Hitler Youth’ and got caught in an enemy artillery attack during the Ardennes offensive. There had been no trace of them since. Jochen and Hermann had participated in the battle. Two other boys wanted to stop as dashing infantrymen the tanks of the Red Army and were crushed in their trenches. Three perished by a direct hit from a bomb that destroyed their antiaircraft position. And the one with comment on the ‘crooked noses’, Bully, got shot in the back. He belonged to a scouting patrol that consisted of soldiers of the front. They were already sick and tired of the war and wanted to surrender rather dying senselessly five minutes before midnight. Only Bully rushed forward. Thus he found his end. All of them were not quite twenty years old. Kern desired nothing more ardently than peace. Never again should there be such orgies of slaughter and destruction. Never again should a man touch a gun; never again should tanks be built. Perhaps most people had the same desire at the time. He was hoping from the bottom of his heart that future generations would be spared from standing physically and mentally at attention. The old senior secondary teacher Kern slowly walked along the street and saw nothing but ruins everywhere. Dark gaps in the basements were staring at him, so were the empty, starving eyes of innocent children. He walked slowly, very slowly, because he had not only become older. Perhaps the previous years were counting double. Worry, sorrow and fear were just as bad as the lack of daily bread. Yet Kern was strong enough to one more time put a piece of chalk into his hand. Who else should do it? The young teachers were gone, dead or incriminated. Who wanted, who was indeed permitted to take on this responsible teaching position? Most everything was in shambles anyway. Who should convincingly teach humanism and own ethical thought, develop through independent thinking a true personality, indeed for him the destiny of man? Who should teach about human beings who no longer just follow orders, but the dictates of their own conscience, which takes its orientation from and is based on reverence for life? Ludwig Kern directed now the school that once had rejected him. He guided it in the spirit, because of which he had once been dismissed. This spirit was his hope, because it proved to be stronger than all force. And hope lends strength. “There is as much energy in the world as there is hope in it”, that ‘jungle doctor’, Albert Schweitzer, had once said, who also stood often in life before ruins, and always full of hope started all over again. Although through knowledge he was a pessimist; in hope, however, he remained an optimist. The past should remain the past. Nevertheless it turned again into the present. For Kern received a letter. It came from a teacher, who once was a teacher and wanted to become a teacher again, yes had to, because he had three hungry children and a sick wife. The family had been ‘bombed out’, as it was called. An aerial mine had hit their house and had destroyed everything. They were left only with what they were wearing. Their surname was Bernhard. When Ludwig Kern was reading this name, something within him cried out NO! And once again NO! After all he was now directing in the spirit that Bernhard had rejected. Should this now happen all over again? Should again like in thirty-three the pernicious ideology triumph over the spirit? Not right away of course, but some time down the road? Should all the sacrifices have been in vain, which had to be made to make this evil ideology disappear? Kern read once more the letter written on gray, woody paper, on which the ink had spread. Once more he heard the voice that called out, “You seem to keep this horde closer to your heart.” And again he said NO! ‘They should have known!’ he protested in his mind. But this protest did not come from the spirit he was fighting for. And ‘eye for eye’, his old self kept nagging him. ‘Indeed, nobody is innocent!’ the good conscience was triumphant again. Bernhard was standing again in front of a class and was teaching. But he taught a totally different history than before. Long after Ludwig Kern had succumbed to a stroke attack, Bernhard fully comprehended the spirit that he had once cast away and betrayed, but that now had finally forgiven him. And each time he was thinking about it, he shuddered, for he felt ashamed. P.S. This text originated in the 1950’s under the influence of my personal experiences during the Hitler period, after I had occupied myself for the first time with Albert Schweitzer’s life and philosophy and had become so acutely aware of my own misconceptions and errors. 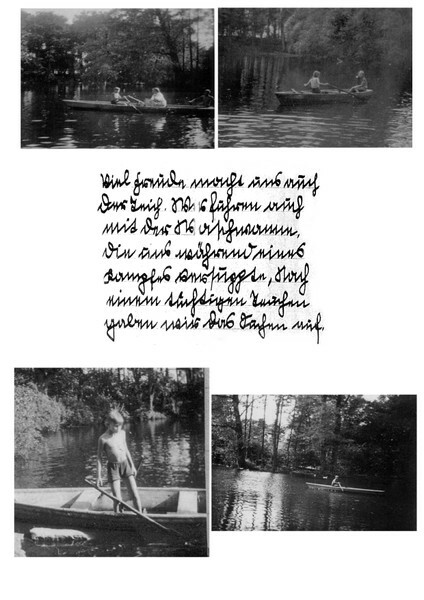 From Wikipedia.org: The Prussian ministry for culture commissioned graphic artist Ludwig Sütterlin to create a modern handwriting script in 1911. His handwriting scheme gradually replaced the older cursive scripts that had developed in the 16th century. 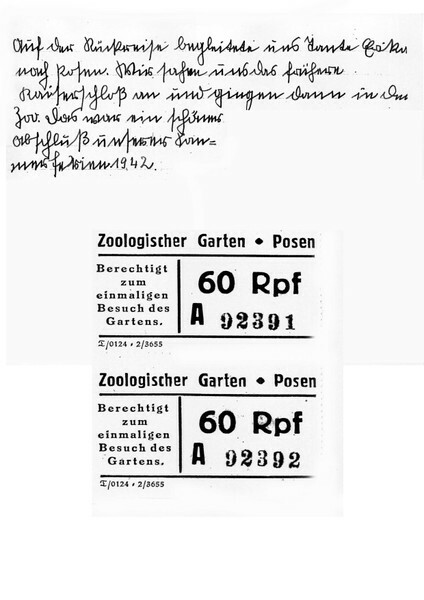 The word Sütterlin is nowadays often used to refer to all varieties of old German handwriting, although only this specific script was taught in all German schools from 1935 to 1941. Wir freuten uns sehr, als wir eine Einladung von Onkel Ernst und Tante Erika erhielten. Wir waren noch nie auf so einem großen Gut gewesen. Endlich war es soweit. Am 8.Juli 1942 war der Reisetag. Um 4 Uhr ging es los. Und gegen 13 Uhr waren wir da. Als wir ausstiegen, war Karl mit der Sekretärin auf dem Bahnsteig. Danach fuhren wir eine Stunde nach Gutfelde. An der Haltestelle stand Tante Erika mit den Kindern Adolf, Eka und Gerhard. An dem schönen Aufgang begrüßte uns Onkel Ernst. We were very happy, when we received an invitation from Uncle Ernst and Aunt Erika. We had never been on such a huge estate before. Finally we were on our way. The traveling day was July 8, 1942. At four o’clock we departed. And around 13 hours we arrived. When we got off the train, Karl with the secretary were standing on the platform. 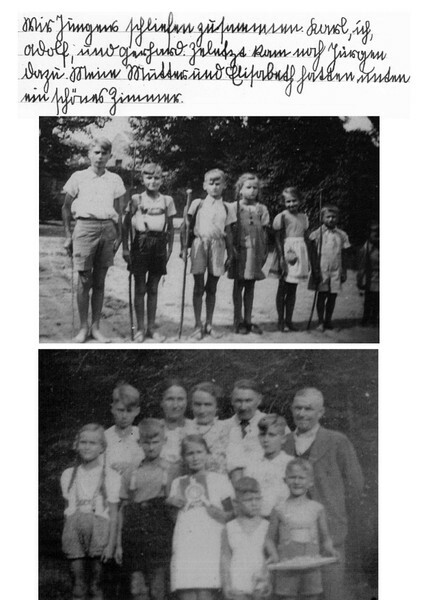 Then we traveled for an hour to Gutfelde, Aunt Erika and the children Adolf, Eka, and Gerry were waiting at the stop. At the beautiful staircase to the entrance Uncle Ernst greeted and welcomed us. Wir Jungens schliefen zusammen. Karl, ich, Adolf und Gerhard. Zuletzt kam noch Jürgen dazu. Meine Mutter und Elisabeth hatten unten ein schönes Zimmer. We boys slept together: Karl, I, Adolf and Gerhard. Finally Jürgen was added to our gang. My mother and Elisabeth had a nice room downstairs. Viel Freude macht uns auch der Teich. Wir fuhren auch mit der Waschwanne (Zinkbadewanne), die uns während eines Kampfes versuppte (versank). Nach einem tüchtigen Tauchen gaben wir das Suchen auf. We had lots of fun on the pond. We also cruised on the washtub, which later during a ‘naval’ battle sank. After much thorough diving we gave up the search. Eines Tages kam Tante Trude (Gertrud). Sie blieb leider nur zwei Tage bei uns. Mit dem kleinen Jürgen hatten wir sehr viel Spaß. Oft sind wir nach Dietfurt (Znin) baden gefahren. Natürlich nutzten wir gleich die Gelegenheit aus, als wir Tante Trude nach Dietfurt zur Bahn brachten. One day Aunt Trude (Gertrud) arrived. Unfortunately, she stayed only for two days. With little Jürgen we had lots of fun. Often we went swimming at the Dietfurt Lake. Naturally we made good use of the occasion, when we took Aunt Trude to the Dietfurt railway station. An einem kleinen Tümpel, der an einer Sandgrube war, bauten wir uns einen Bunker aus Steinen und Lehm, unsere Kompanie war acht Mann stark. Near a tiny pond at a sandy ditch we built a bunker out of rocks and clay. Our company was eight man strong. We threw a spear onto the target we had set up . Jürgen scored 50 knockdowns in a single round and received the certificate of achievement. Der kleine Peter, ein niedlicher, kleiner Knop; Frau Döpelheuer, fast 3 Zentner (!! ), aber sehr mütterlich. Mutti und sie haben ein großes Konzert veranstaltet. Sie nannte sich “Rüppi” und er hieß “?”. Little Peter, as cute as a button; Mrs. Döpelheuer weighing almost 300 pounds (!! ), but very motherly. Mom and she organized a big concert. She called herself ‘Rüppi’ and his name was ‘Karlchen’ (?). Auf der Rückreise begleitete uns Tante Erika nach Posen. Wir sahen uns das frühere Kaiserschloß an und gingen dann in den Zoo. Das war ein schöner Abschluß unserer Sommerferien 1942. On the return trip Aunt Erika accompanied us to Posen (Poznan). We looked at the former imperial castle and then we visited the zoo. That was a very nice conclusion of our summer holidays 1942. Do you feel the same as I do? The older you get, the more in your memories you return to your childhood years. That’s at least how it is with me, especially now that the children have grown up and are taxing my physical and mental strength around the clock any more. Thoughts are stirring, nostalgic and regretful at times, because happy days, familiar places and dear people are gone forever, but I am also filled with joy, because they were once present way back in long-gone times. Actually I thought that I would remember next to nothing at all about my earliest childhood. But sometimes and quite suddenly like out of the blue a memory shoots through my mind, a piece of the past, an event of my childhood, often only a single image without any connection. The more these ‘memory fragments’ go back in time, the smaller, the more scattered they appear to be. Yet, as the thoughts travel back more frequently, other thoughts rise and flash on my inner horizon. Often I no longer know how they are connected. In fact, it is next to impossible to maintain a reliable sequence of the fragments in my early childhood memories. But that is actually not so important.I simply try to nail down a few of these fragments, before they vanish forever into the abyss of eternal darkness. There are some events, which I no longer know or cannot know at all, because they happened before I was born, for example, how my parents got to know each other. These things I will draw from old letters and later down the road from my old journals. Who knows there might be somebody somehow involved here, who might add something to whom I may pass on to read the rough copy of my scribbles. They may perhaps contribute a couple of their own memories to turn the individual fragments into a cohesive picture of my – or much better – of our childhood in Gulow and in Mellen. The original version in German will be published on Thursday. Uwe’s mother originally comes from Breslau (now a Polish town by the name of Wroclaw). She was just six years old, when she had to flee with her family from the advancing Red Army. Somehow the family with four children managed to reach Dresden. But she does not remember much about it. And so it came to pass that during the night that followed the family could escape the devastating aerial attack. The train was parked on a sidetrack near Chemnitz in Waldheim, where the family then stayed. 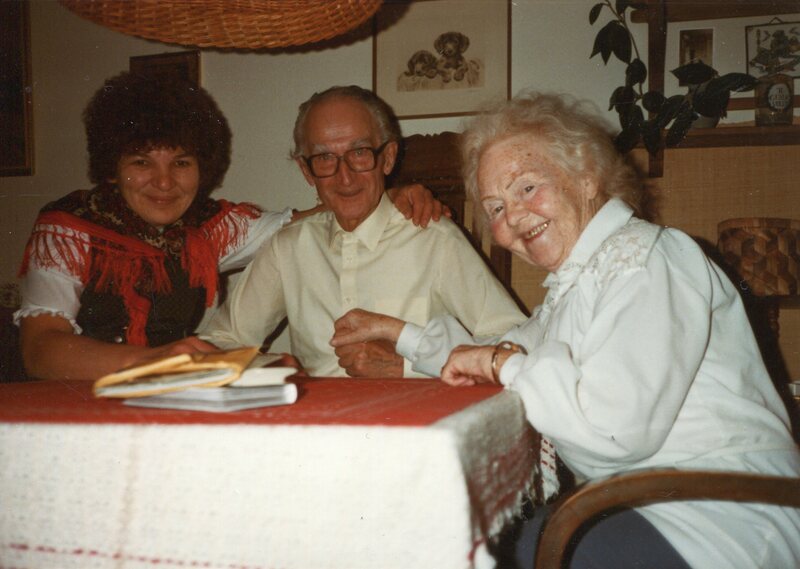 Edda’s grandparents on her mother’s side of the family were Bruno and Johanna Kegler. We called Johanna Hanna. She was a kindhearted woman. She too had to endure many hardships. 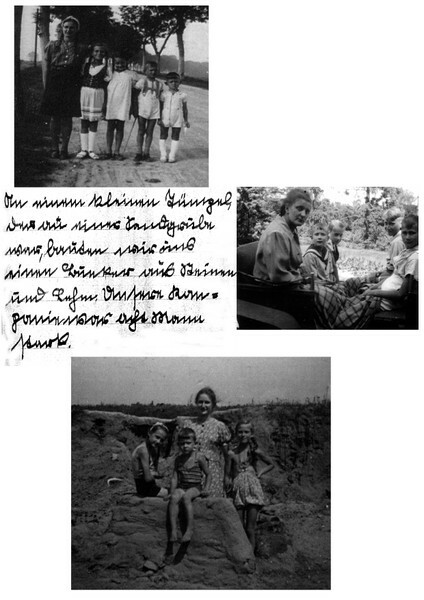 Truly she had earned her last beautiful years together with her mother and Aunt Maria at Tulpen Street in Gießen. Her maiden name was Engel (Angel in English). One of her cousins was Erich Engel, who lived after the war with his wife Berty in Hanover and served in the courts as Attorney General. 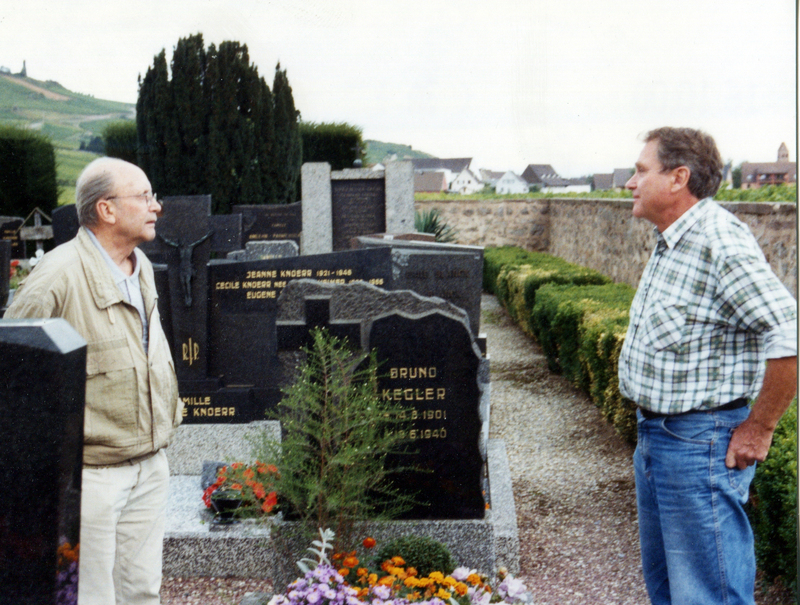 For many years Erich immersed himself in family research and of course also explored the ancestry of the Keglers. Edda and I maintained an active correspondence with the Engels. So it comes as no surprise that Erich had also written much about our family. Unfortunately he passed away a few years before Gemany’s reunification. Thus, we never met in person. On the occasion of our first visit to the ‘West’ – I believe it was in 1987, I got to know his wife Berty. We had dinner with her together with Jürgen and Inge Kegler. Out of this emerged a long friendship with her. She passed away at the age of 94. On the same evening tens of thousands of GDR citizens were in West Berlin, and on Saturday November 11th, 1989 our family traveled to Berty’s place in Hanover. 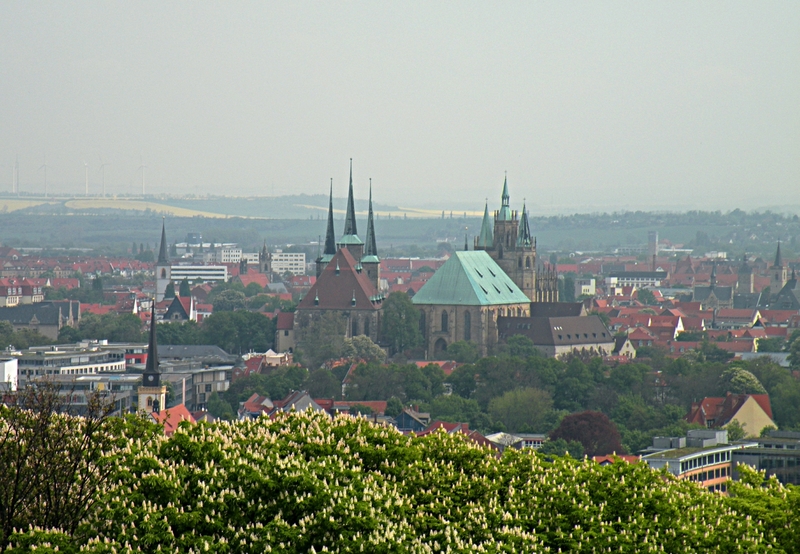 We started out at six in the morning and arrived in Hanover at 8 p.m. From the moment we entered the autobahn, we slowly drove in the notorious stop-go pattern of a horrendous traffic jam. We will never forget this trip! Today you can cover the distance in an hour and a half. On Sunday on our return trip there were a hundred people standing on every overpass waving at the Trabis and Wartburgs (East German cars). Later on I often went to the ‘Four Border Point’, where Berty lived, and helped a little in her apartment, whenever there was something to do. 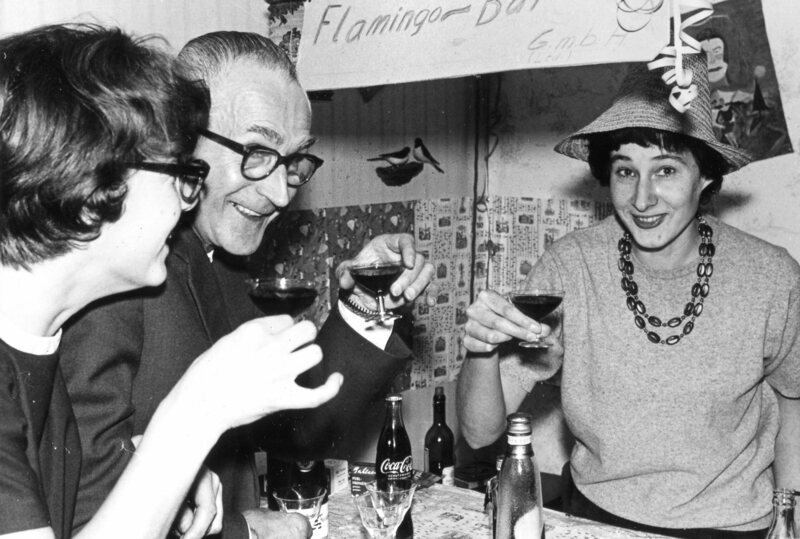 Often we had a couple of Jever beers and Doornkaat schnaps. Together we also went to Wilhelmshaven, where Erich came from. His father was employed there as senior foreman at the shipyard. 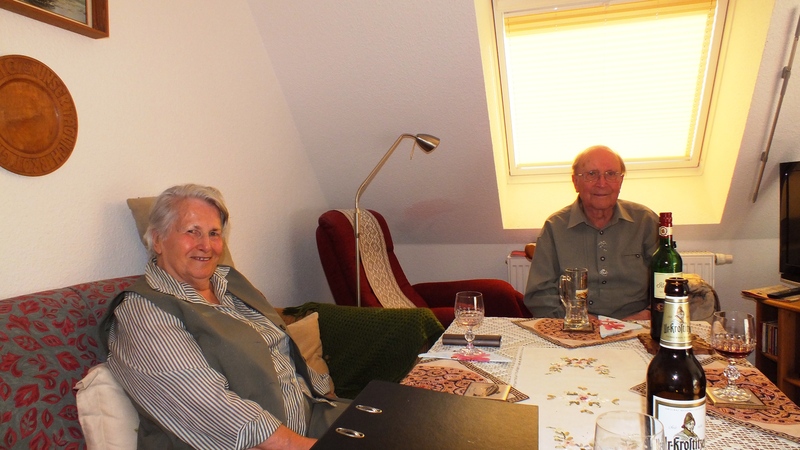 From April 28th to April 30th, 2015, we paid a visit to Edda’s Uncle Hartmut and his wife Gisela in Kochstedt near Dessau. 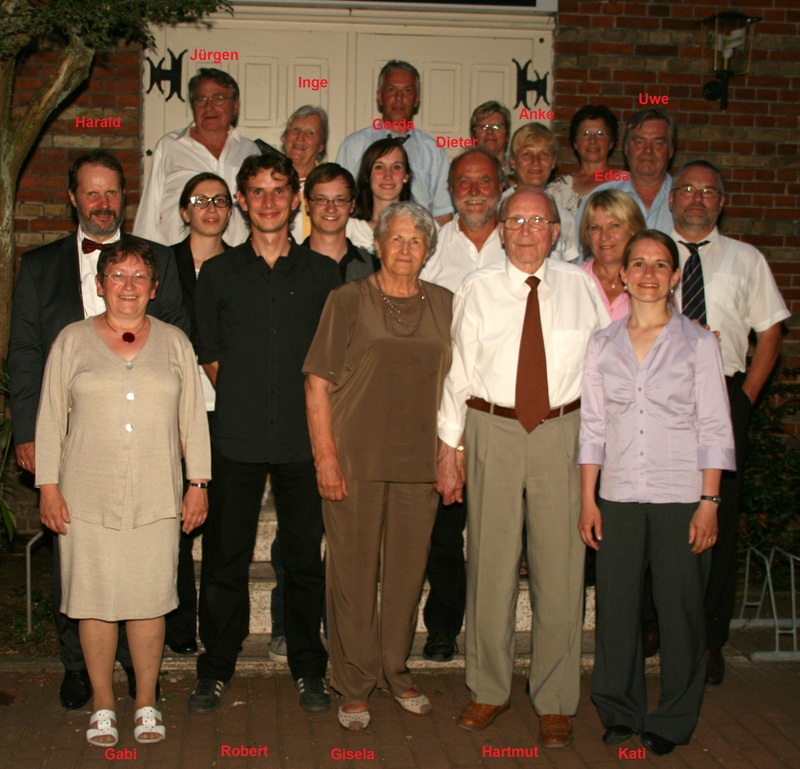 Hartmut, the first child of Bruno and Johanna Kegler, was born in 1931 in Stettin (Szczecin). He attended the elementary and high school in Hirschberg (town in Lower Silesia). 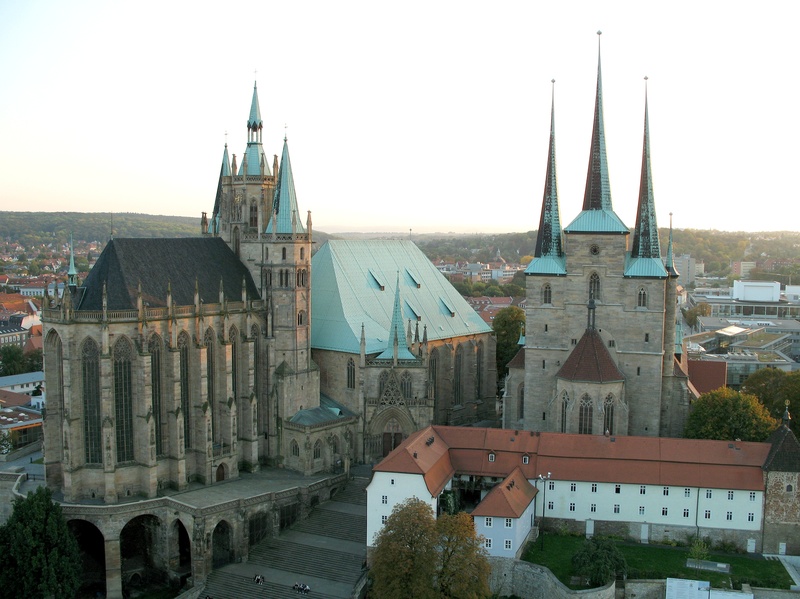 In Thuringia he graduated from an agricultural institute and took his post-secondary education in Rostock and Halle. From 1955 to 1991 he worked as a scientist at the Institute of Plant Pathology Aschersleben of the German Academy of Agricultural Sciences of Berlin. In 1959 he pursued his doctoral studies, which earned him in 1964 the postdoctoral qualifications as professor. 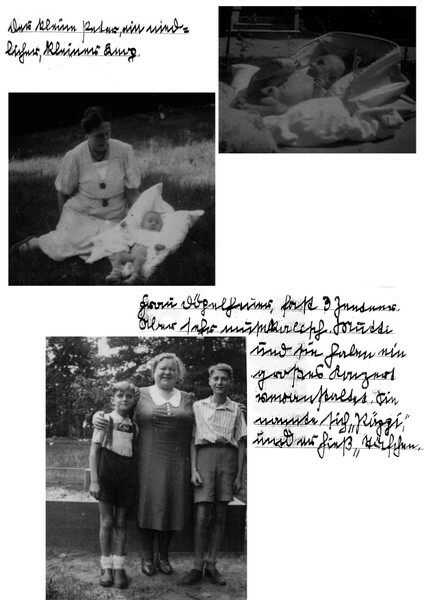 Gisela was born in 1931 in Havelberg and had an active career in the teaching profession. After the reunification of Germany, Hartmut was dismissed and became unemployed and a pensioner. This came as a result of the closure of the institure. 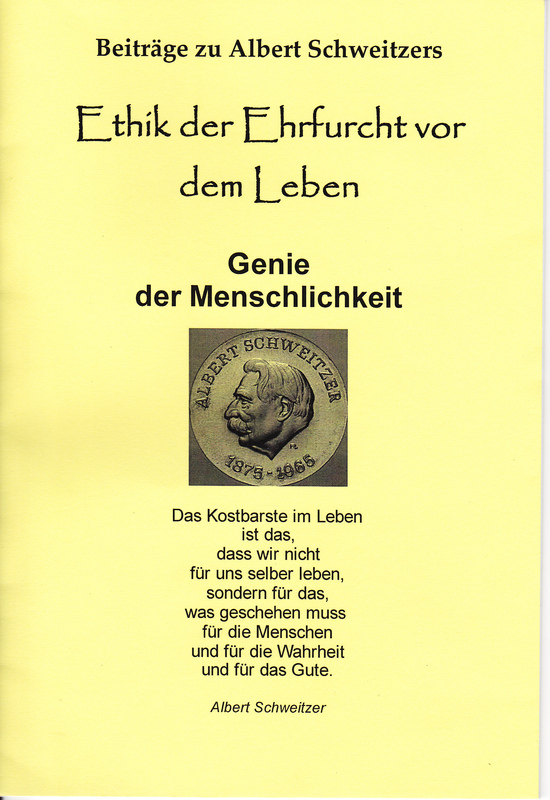 Both Hartmut and Gisela are occupied with keeping the cultural heritage of Nobel Prize winner Albert Schweitzer alive, hold conferences and publish works related to this theme. 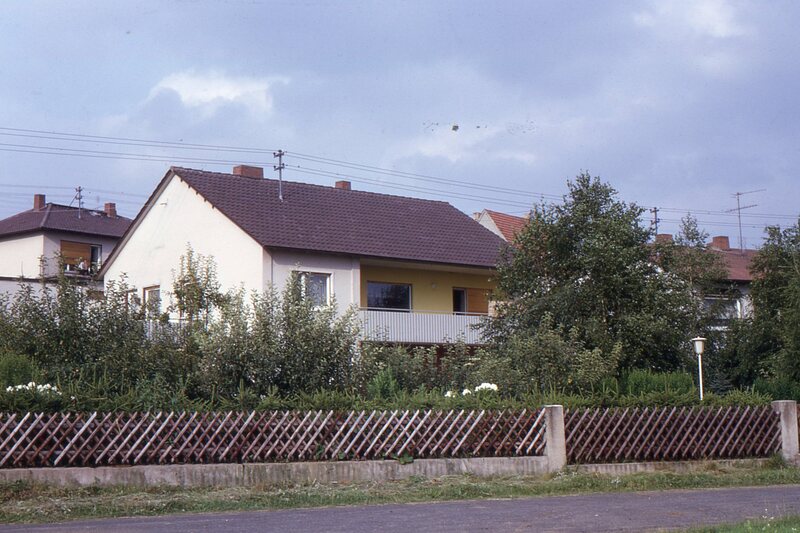 The lived in Aschersleben am Bäckerstieg 11, where we had often visited them in past. 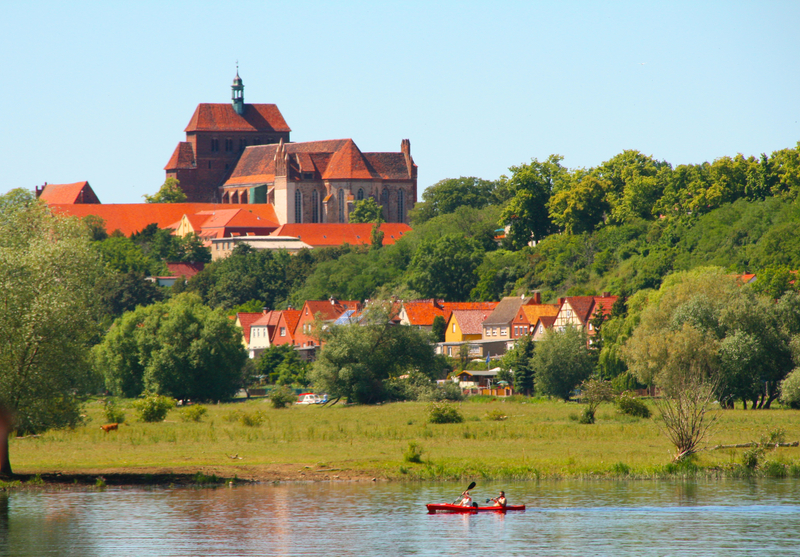 In 2011 we celebrated their combined 160th birthday in the wonderful town of Havelberg at the confluence of the Havel River (great for going paddling) with the Elbe River. In 2014 their son Harald procured for them accommodation with in-house care facilities in the Dessau city district of Kochstedt. Here we visited them for the first time. Hartmut had reserved a room for us in the guesthouse ‘Heideperle’. We had lots of time for stimulating conversation. Mia, we like your smile. Our son Mathias and daughter-in-law Pamela enjoy an occasional visit in our cozy home in Germany. Below the picture gallery showcasing the entire family, you can also watch a short video of Papa Mathias teaching little Alessia to respond to the rhythm of the music in the background. She also enjoys – that is plain to see – a hug from her brother Frederik. Even though the video quality was not very good, the message is loud and clear. We have a little girl, who loves music. The family tree project is not just about our ancestors of whom we are indeed proud for their accomplishments. It also very much focuses on the living members of our family that are spread half way around the globe. Thus, the project serves the important purpose to get to know one another, to connect and to enhance the feeling of belonging together. I am delighted to be able to report that since our humble start at the end of last December I recorded more than 2000 hits indicating a high degree of interest among our family members. 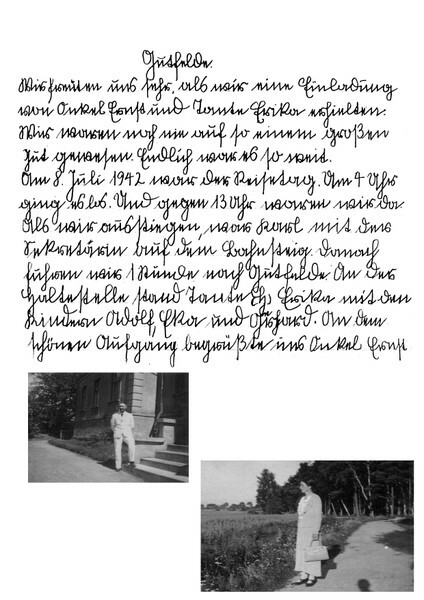 While I have plenty of materials drawn from Uncle Günther’s Family Chronicle, from Eberhard Klopp’s ‘Brief an die Nachfahren’, from the archives of the Arrow Lakes Historical Society, from local archivist Annette Devlin, and last but not least my own collection of hundreds of letters, documents, videos and photos, I would like to continue to appeal to all of you to make contributions to the blog. I am delighted to welcome some more information on the very youngest members, Frederik, Alessia, Matti and Jonni, grandchildren of Dieter and Edda Barge. On this YouTube upload you can see them learn, snack and play. 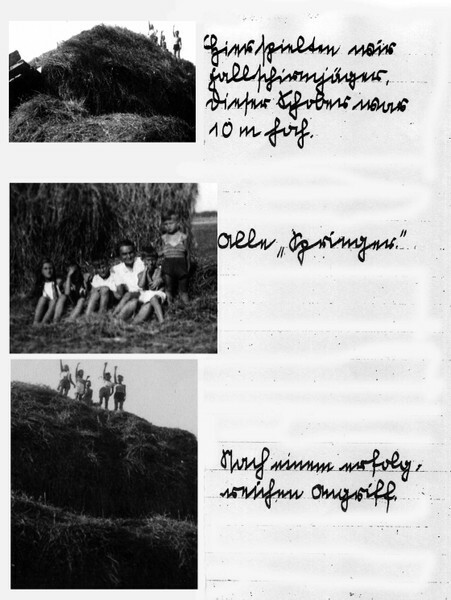 From left to right you see copies of messages sent in 1967 by my mother Erika Klopp, Aunt Maria Kegler, Aunt Lucie and Uncle Günther Kegler in Watzenborn-Steinberg across the Iron Curtain to Edda in the former German Democratic Republic. 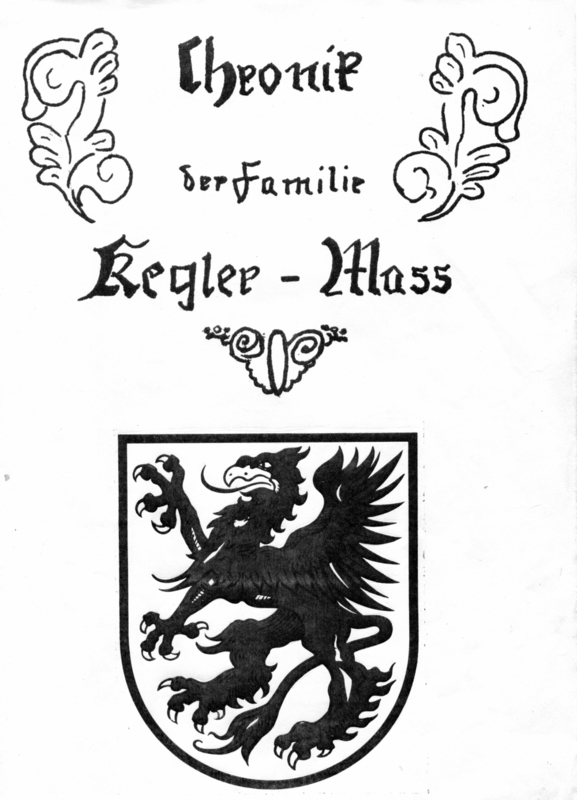 The quotes containing words of wisdom in German and the poems are typical and characteristic of the entire Kegler clan. This week our friends from Germany put a little surprise video into my dropbox. It was originally intended as a special birthday greeting from Germany. My wife and I were so deeply touched by its beauty both musical and visual that I decided to post it on my blog with the contributor’s permission, of course. Abend Ballade means Evening Ballad. Its music was composed by Edda’s second youngest brother Andreas Trampenau, grandson of my uncle Bruno Kegler. Edda played the composition on her Kawai E-Piano and her husband presented the wonderful images of clouds in the form of a slide show further enhancing the festive mood. Dieter and Edda Barge raising their mugs to say ‘Happy Birthday!